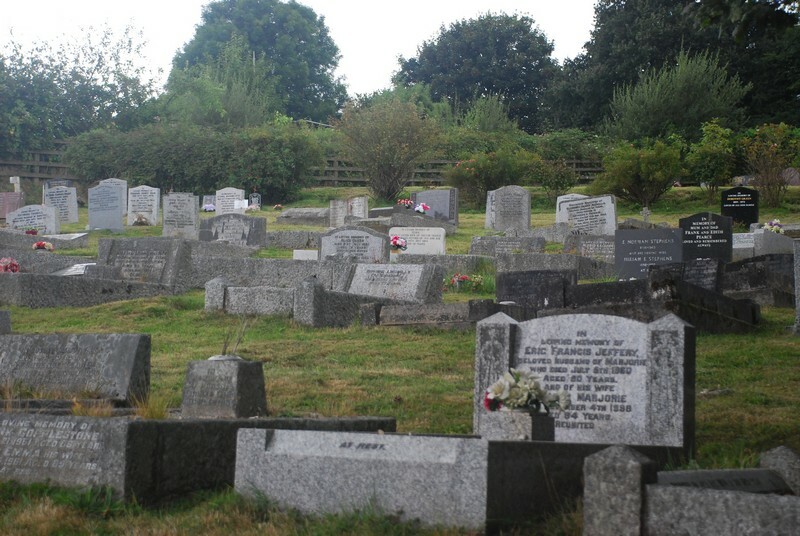 Tearle Family history in Toddington, Bedfordshire. It was Richard Tearle, leader of the Tearle research group, who first came across the story of William Tearle, the Cornish firefighter. He wrote to me in January, 2009. 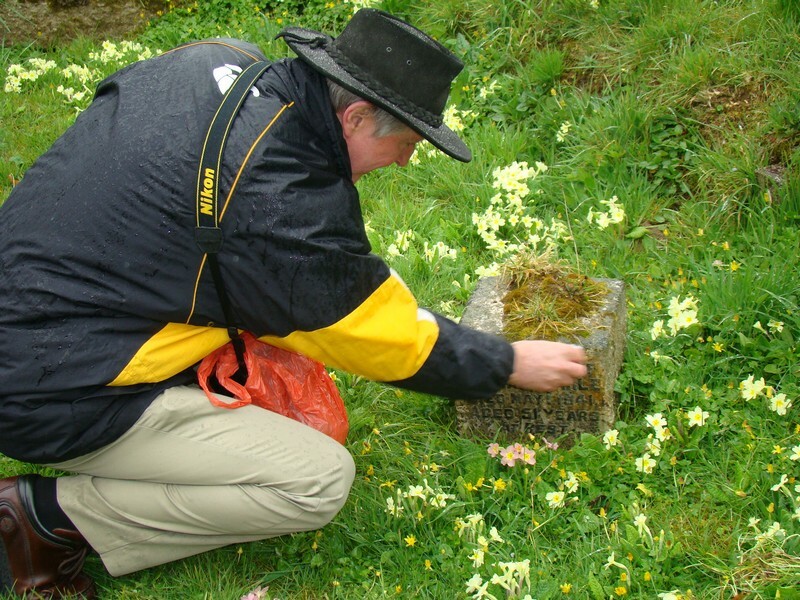 There are no other details that I can find – do we have any records of Tearles in Cornwall? This man clearly died as a civilian, albeit a member of the fire brigade. ‘Loveday’, by the way was a horse drawn steam engine…. 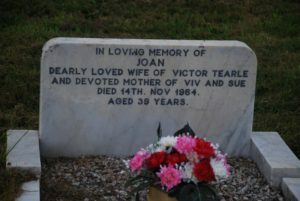 Tracy Stanton was quickly onto the story – she had found the death registration: Q2 1941 William A J Tearle Bodmin reg dist. vol 5c page 234. Age 51. “Could this be a grandson of John 1831 and Maria Major? They had a son William 1863 born in Toddington. 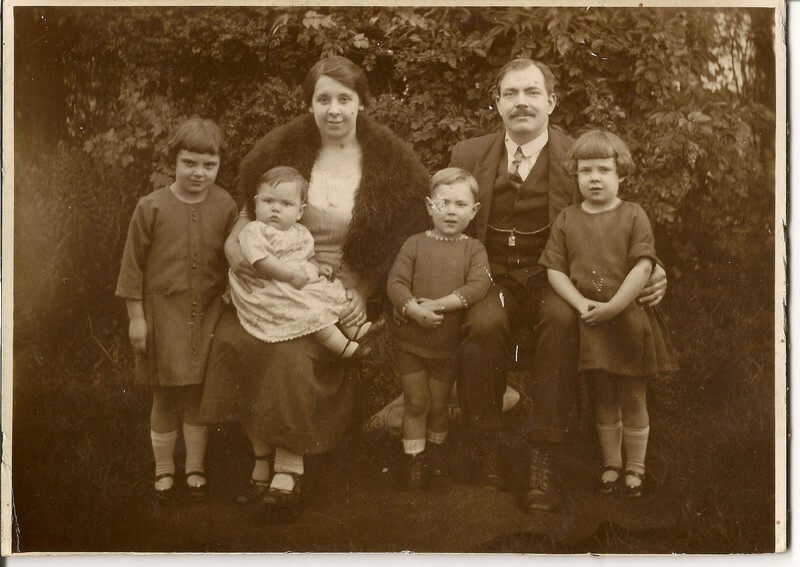 We had found a Toddington man who had moved to London, married a Falmouth girl, had three children in London, moved back to Toddington and had one more. 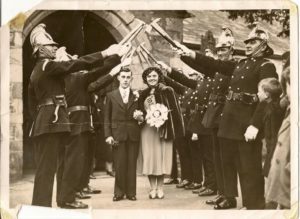 That lad, William, had moved to Lostwithiel, Cornwall, and died fighting fires in the Plymouth Blitz. Extraordinary. If he was 11 in 1901, then he was a perfect age to be dragged into WW1, which he obviously survived. Smiling, I rang the number he gave me. Gill Parsons did know everything. She and a fellow museum committee member had researched William and his death and had written an article for the Museum Monthly. She would send it to me. 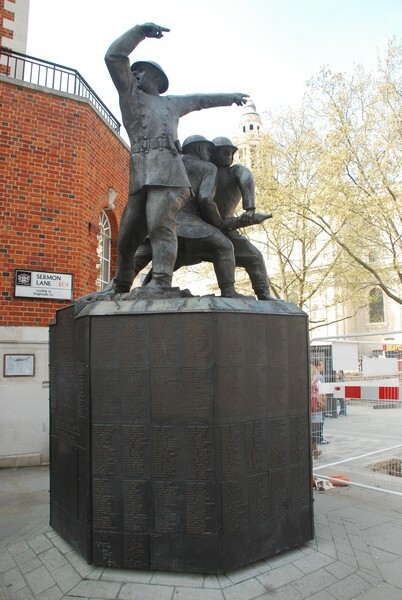 As a result of the article, the Firefighters Memorial Trust had carried out its own research and agreed that William’s name should be added to the Firefighters National Memorial at the head of the Millennium Bridge, close to St Pauls. “His name,” she said, “was added in November 2008.” I had not been to see the monument since about August. Her article, a letter and some photographs arrived by post a couple of days later. She had met Victor, William’s son, in the village – he had just been to London to see the monument and he was very pleased. 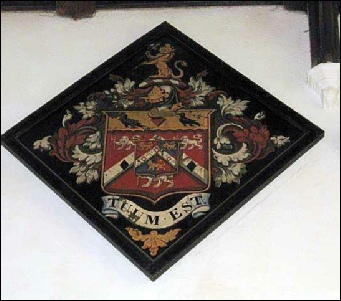 “Apparently,” she wrote, “his father married Ellen Hambly from Covich’s Mill (a very small hamlet about three miles away) near Lostwithiel.” William’s name had been added to a memorial in St Andrews Church, Plymouth, and Victor remembered going to the ceremony many decades ago. Victor would be pleased to speak with me if I contacted him. Unfortunately, Victor could hardly understand a word I said because he was very deaf. “Is it all right if I come and see you?” I asked. “I would like that,” he said. “How would you like to go to Plymouth for a week in the holidays?” I asked Elaine. I told her my plan was to see the memorial in St Andrews Church in Plymouth and then go to Lostwithiel to meet Victor. 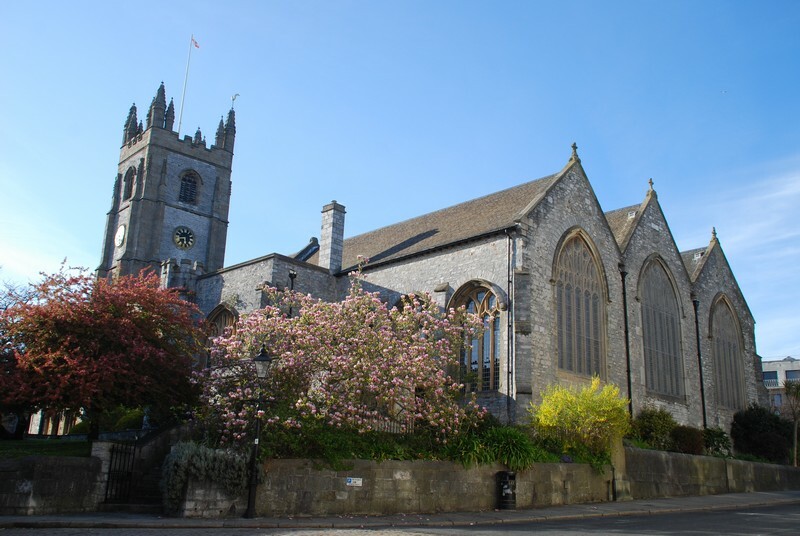 St Andrews Church was in the very centre of Plymouth and overlooked a bombed-out church lower down the same hill. 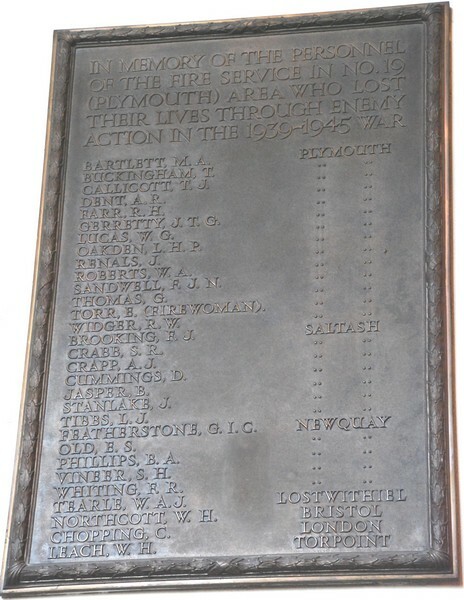 The firefighters memorial was a brass plaque mounted on the wall in a small chapel. It was deeply moving. 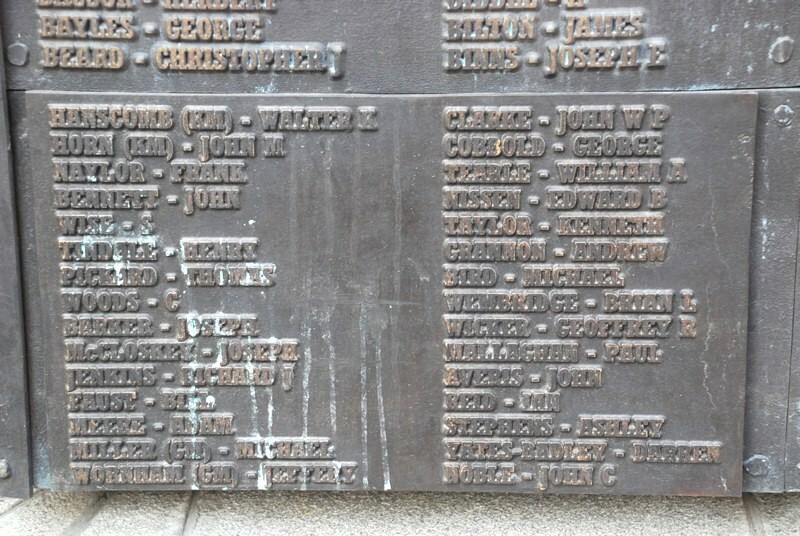 Every man listed had died fighting fires in Area 19 (Plymouth) during WW2. Tearle, W. A. J. was clearly visible at the bottom left. 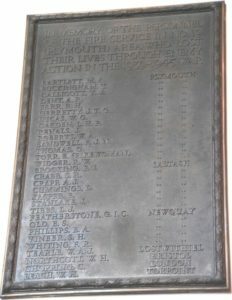 The outside of the chapel was lined with several small cabinets containing large books of people’s names; victims of both wars.Two of the volumes were of National Roll of the Great War. I asked a churchwarden if I could see the contents and he gleefully brought me the key. The books were beautifully printed on stiff, cloth paper, but there were no Tearles in them. Another cabinet had a hand written volume of remembrance for the Merchant Marine. I looked for Louisa nee Lees, but again, there were no Tearles. 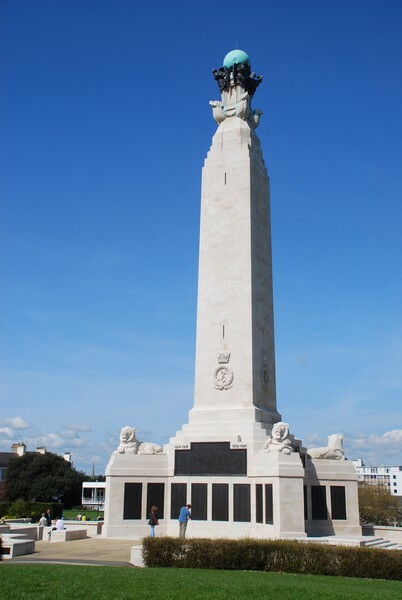 We spent the rest of the afternoon on Plymouth Hoe, examining all the monuments on Monument Hill, including those of the Crimean War and the Boer War. The Plymouth Naval Memorial took the longest, because out of sight of this view, below, is another huge semi-circle of names. There were no Tearles. “No,” she said. “That was the third appliance the service owned. It was bought in 1904 and was definitely our most famous. 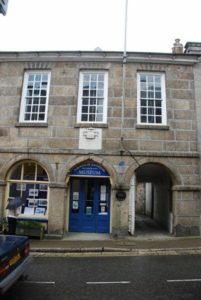 The Loveday was named after her daughter by the then mayoress of Lostwithiel and this building was the old fire station that the Loveday set out from for any of the village fires. The new fire appliance was a trailer pump unit, drawn by a lorry, which was garaged in Bridgend. It’s only just up the hill so the men did not have far to go to get it.” She opened a drawer and showed me a remarkable photograph. 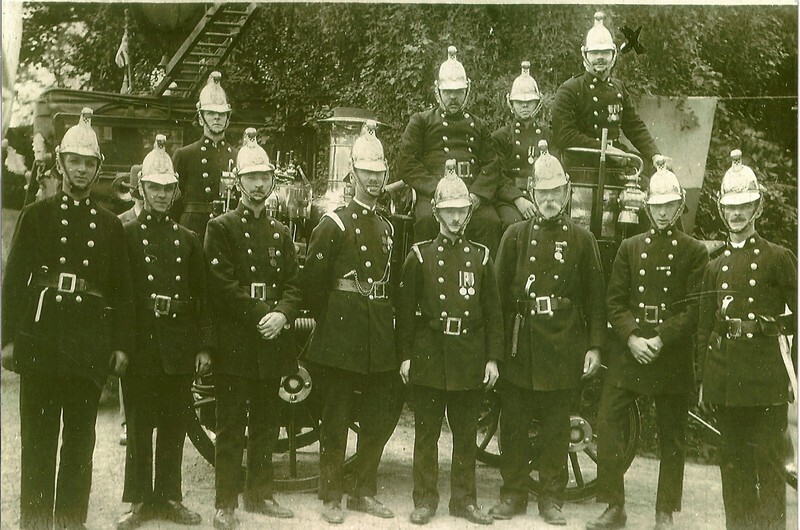 William Tearle 1890 right rear with the Lostwithiel Fire Service team. I studied the picture with William, marked with a cross, sitting proudly at the front of his beloved fire engine. “The Loveday was a Merryweather appliance, quite well known in London, where they also had self-propelled versions. 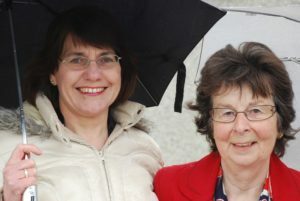 Ours may have been horse-drawn, but it still put out fires and it still saved lives,” said Gill. “I suppose there wasn’t a lot of corn to sell,” I said, taking in the size of the room. I am used to the St Albans building. In both cases, the telephone rendered the building superfluous to requirements. 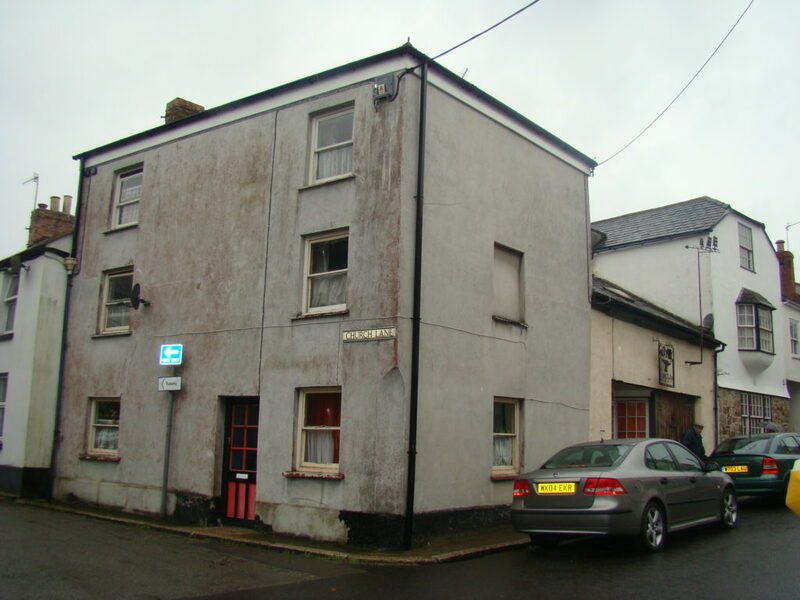 On the corner of North St and Church Lane stood this unprepossessing, square three-storeyed building and next to it was a much older slate-roofed squat building with a big bay window. Gill smiled, “Would you like to see the cemetery now?” We opened the gate to the Restormal Rd Cemetery and secured the lock. “I have catalogued all the headstones in the cemetery, so I really do know everyone here,” said Gill. “The churchyard was closed a long time ago and for a while this was a kind of churchyard extension, kept tidy by the sexton. These days, it is owned by the council, and they maintain it.” She led us down a cleanly mown strip of grass, slippery in the wet. “There is the headstone,” she said. “It has been moved for some renovations to the cemetery, so I am not sure where the grave actually is.” I cleaned the headstone the better to read the inscription. “That’s lead lettering in Lostwithiel granite,” said Gill. 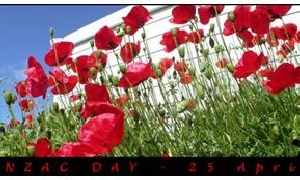 It wasn’t far from the Restormal Rd Cemetery to Victor’s and from their cheery wave we could see we were well received. Gill, pictured on the right with Elaine, introduced us to Victor and Mavis and left. Mavis had put lunch on the table for us and while we ate Victor showed us the relics his father had left behind, and told us the story of his life. “Here’s a picture of the family,” he said. He carefully lifted a small sepia print from the mantelpiece and pried off the back of the frame, the better for me to see it. “He was born and bred in Brentford, London,” he said, “and he had two sisters; Myrtle and Olive. 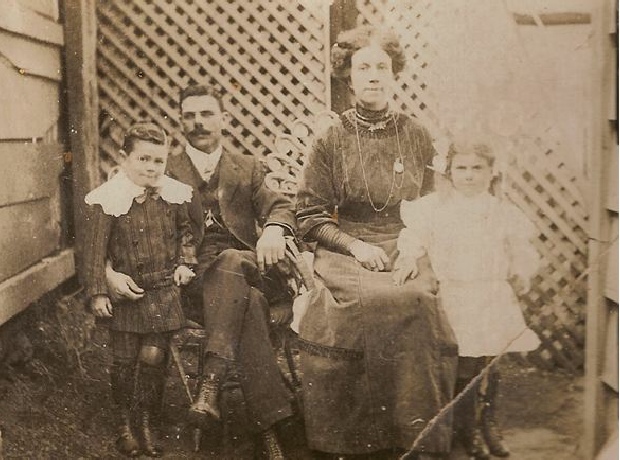 That’s Myrtle standing on the left, then me, Victor Raymond Hambly Tearle sitting on my mother’s knee. Her name is Ellen Rosina nee Hambly. Standing in the middle is my brother Frederick Hambly Tearle, then my father William Alfred John Tearle, then Olive.” He looked up. “But there’s one missing – ten years after this photo, my mother had a younger brother for everyone, whom she called William. He was a quantity surveyor and yard foreman for Churchill and Johnson, a building firm in Basildon. He went there to live with Myrtle and Olive. He was killed in a lorry accident near Luton and he is buried in the Leyndon cemetery near Basildon.” He looked at me carefully. “He was only 7yrs old when Bill (my father, William; they always called him Bill) was killed.” He continued, “Myrtle was born in 1916 and she married Donald Jones in 1939. Now, Olive was born in 1920 and she married Alf Mitchell. 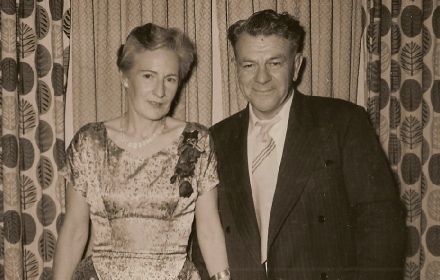 Fred, he married Evelyn and I was born in 1925 and I married Joan Goodman in,” he thought for a moment, “1947/48/49. She died of breast cancer when she was only 34yrs.” He looked intently at the photo as if to drag from it some insight into these family tragedies. He scanned the photo and his eyes stopped on the picture of his gently smiling father. 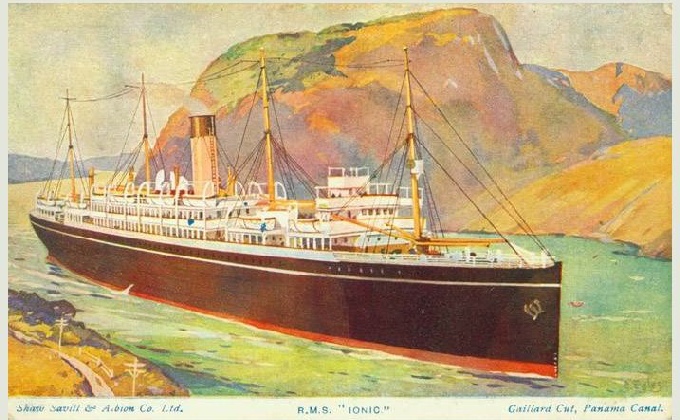 “The Onslow was Cap’n Dee’s destroyer,” said Victor, resuming, “and it was sold to the Pakistan government after the war, to help form the Pakistan Navy. She was torpedoed, too, when I was working on her, but the torpedo didn’t explode. Do you know what that’s like?” He pointed to his left, “The officers’ quarters are aft,” he waved to his right, “and the rest of the crew is for’ard, but the kitchens are amidships. That means we sit above the magazine. When you are torpedoed in the magazine there is a hell of a big bang. We heard the torpedo hit, then later we heard it explode, but out to sea on the other side of the ship. I can’t tell you how relieved we were. We worked the North Atlantic route guarding convoys taking supplies to the Russians from Scapa Flow. 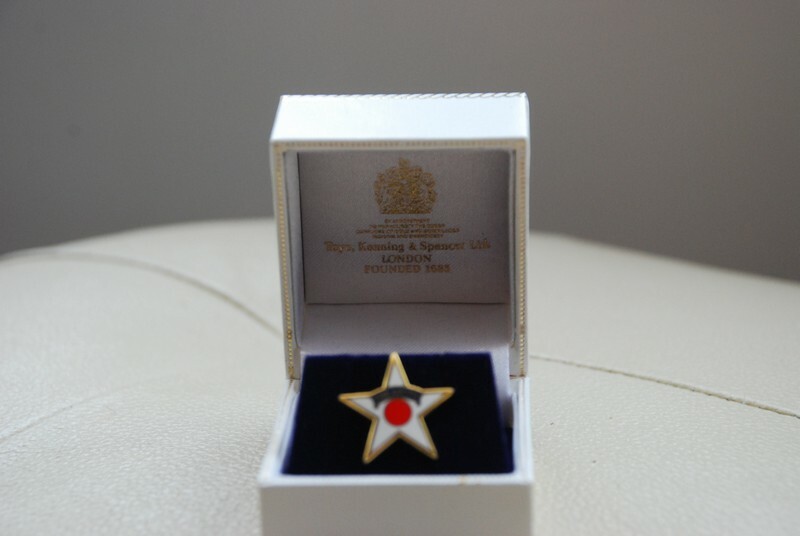 I have a service medal given to me by the Russians but I wasn’t allowed to wear it until quite recently because of the Cold War. 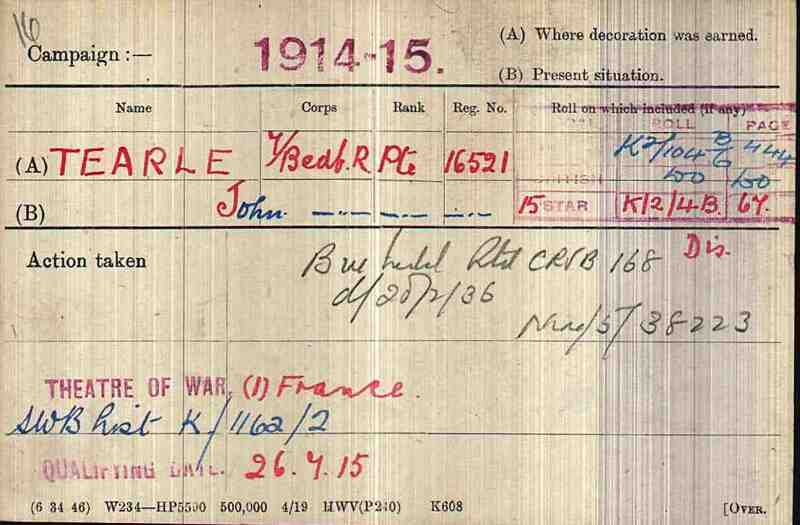 Victor’s service record below includes his citation from the Norwegians. 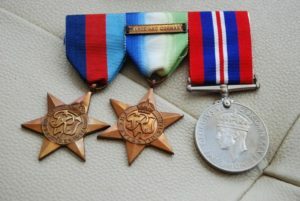 And on the right are his service medals. Below is a recent medal from the Russians celebrating sixty years since the Russian relief supply convoys first operated. “You can see that you are descended from William, a son of Richard and Elizabeth, and I am descended from Thomas, William’s brother. Richard and Elizabeth are our common ancestor. I may be a distant cousin, but we are both members of the same family.” I traced his tree back to John 1610. 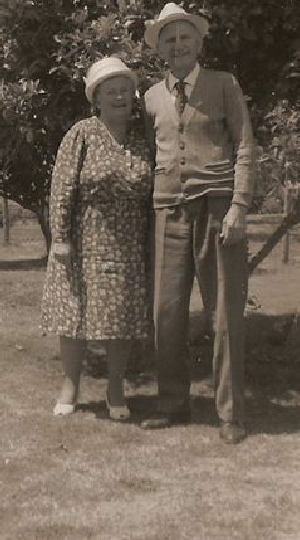 Victor and Mavis Tearle, Lostwithiel, 2009. We collected our gear and loaded it into the car while we thanked Victor and Mavis for their hospitality and generosity. We had met, one way or another, three generations of the Toddington Tearles. William 1863 and his wife Elizabeth Ann nee Cox, from Falmouth, had joined William 1890, the blacksmith and firefighter and his wife Ellen nee Hambly, here in Lostwithiel after he retired from local government. William’s family included Victor, the third generation in Lostwithiel, their grandson and son respectively. I had learnt a great deal about William and his family, not the least because I had met Victor and seen the influence that William had had on him. He is a man of deep conviction and solid humanity. A salt of the earth man, a working man. A man we can be proud of. From the tantalising fragment Richard had supplied, we had uncovered a story of bravery, commitment, patriotism, loyalty and family pride. 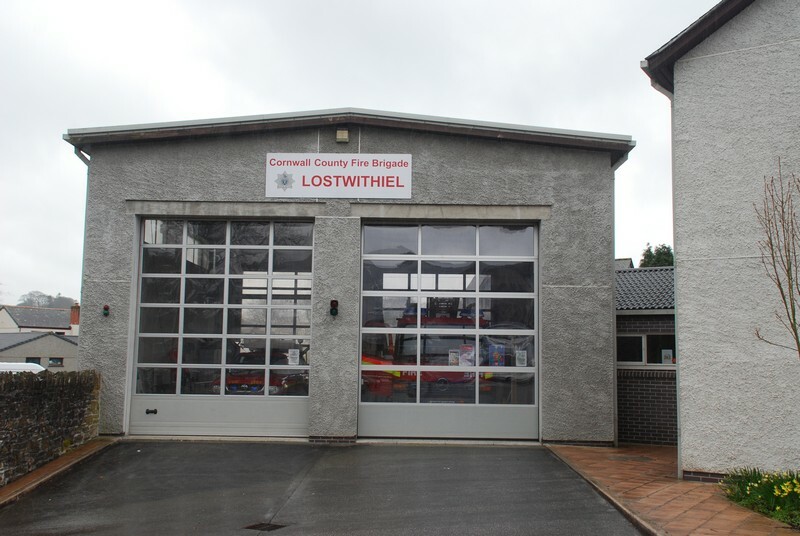 Our last view of Lostwithiel – their new fire station. We went to London to see the Firefighters National Memorial and to record the additional plaque with William’s name. The memorial stands across the road from St Pauls Cathedral, on the walkway approach to the Millennium Bridge. It already has hundreds of names on it, from firefighters killed in the line of duty fighting fires throughout Britain during WW2. Since William was killed under just such circumstances, then it is right that he is remembered along with the others. We were pleased to see that his bravery in running towards a fire when everyone else was evacuating, and the sacrifice he made in the execution of his duty, has finally been acknowledged at a national level. The recently added plaque is near the ground but very easy to find. 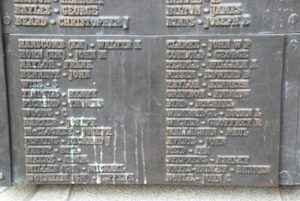 Here is a detail of the plaque with William’s name clearly legible. The night of 26/27 April 1941 was in the middle of what was to be called the Plymouth Blitz. 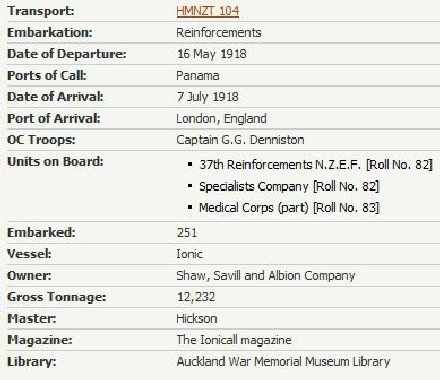 William was critically injured racing to a fire in Devonport, and died in Bodmin Hospital on 1 May 1941, hence the two dates that Tracy had found. 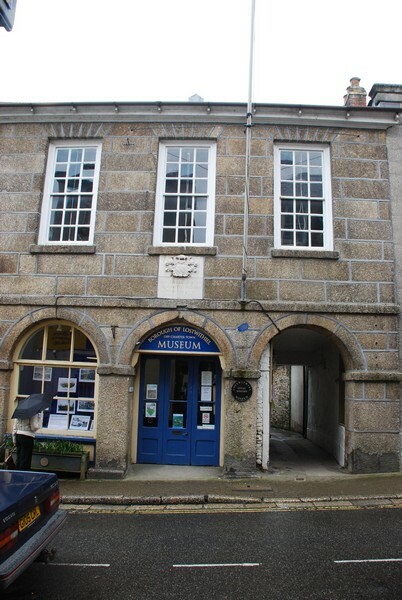 We are very grateful to the staff and researchers of the Lostwithiel Museum for uncovering William’s story, and for their actions in ensuring that William was remembered for the work that had cost him his life. * After the allied landings in Normandy (operation NEPTUNE) in May 1944, the Onslow was leader of a flotilla ordered to patrol the English Channel to keep secure the Allied hold of the French coast. The torpedo strike Victor recounted above happened on 18 June 1944. * On 5 June 1945 the Onslow (and others) escorted the HMS Norfolk to Oslo, taking home the Norwegian king, for which there have been celebrations in Trafalgar Square every Christmas since. * HMS Onslow was deployed by the Pakistan Navy as the TIPPU SULTAN until 1957, being returned to Royal Navy duties as an anti-submarine frigate in 1960. She was finally taken off service and scrapped in 1980. * HMS Exeter was one of the fleet, which included the New Zealand cruiser the HMS Archilles, that famously won the Battle of the River Plate, in Dec 1939. There is a wonderful picture of the huge amount of damage she sustained during this battle. She was then engaged in the Battle of the Java Sea with the Australian Navy against the Japanese and after a great deal of fighting during February, was finally sunk by torpedo on 1 March 1942. 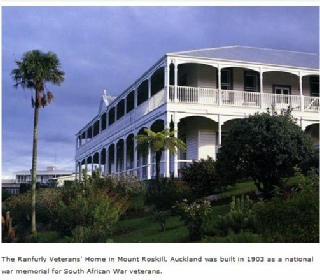 This was a towering warrior of a ship and a true friend of the ANZACs. I received a very tearful call from Mavis in September 2011 to say that Victor had died, and Elaine and I determined then that we would visit Mavis, see Victor’s grave, and pay our respects to his memory, as the last chapter in this story. In these August holidays we have visited Lostwithiel and made good our intention. Mavis was delighted to see us and coincidentally we met Vivienne, Victor’s eldest daughter. The road to the Lostwithiel cemetery is as steep a climb as a car can be coaxed. 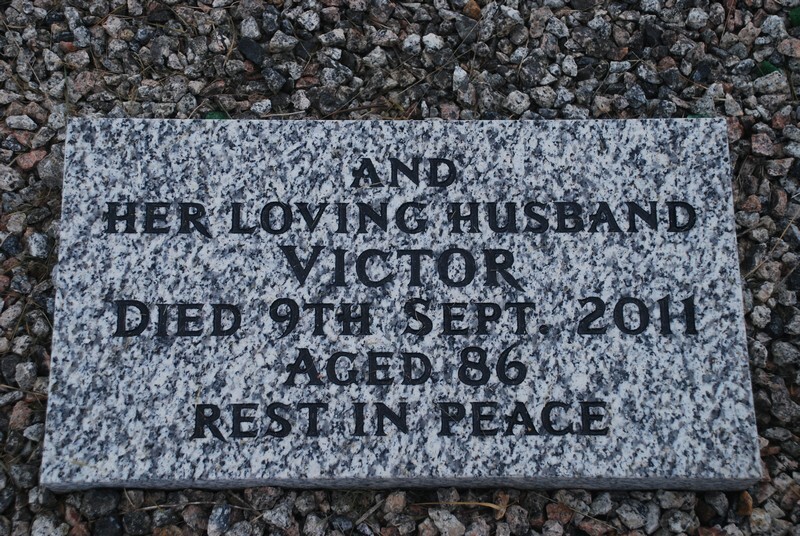 We looked for Victor’s grave, but found that he had been buried with his first wife. 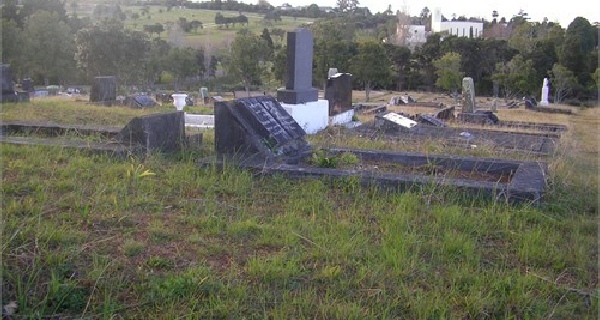 and here is the view to their grave from the cemetery gate. 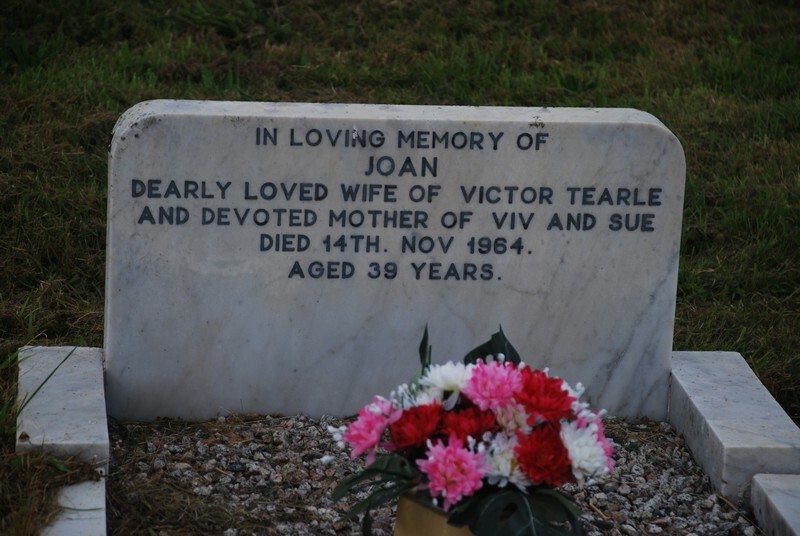 Joan and Victor Tearle grave location from Lostwithiel cemetery gate. 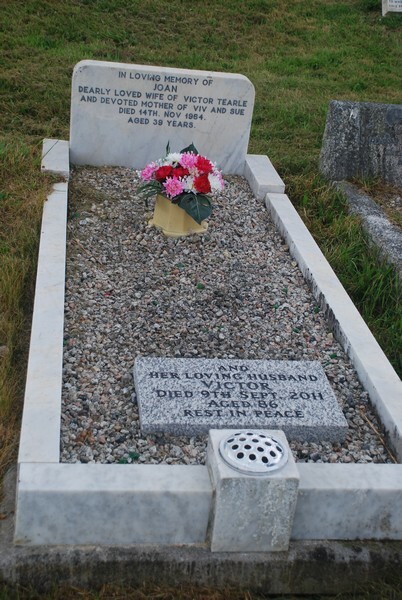 You can see the vase of flowers in the middle ground on the left diagonal from the front headstone. I cannot overstate the admiration I have for Victor, and for his father, William AJ Tearle. 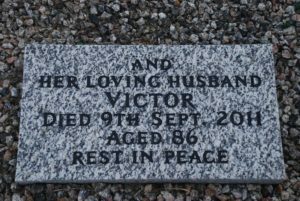 Mavis said that at heart Victor “was just a Cornishman,” and if that means he was a generous, full-hearted man, with a love of life and a deep appreciation of his obligations, then we can leave that thought as his epitaph. 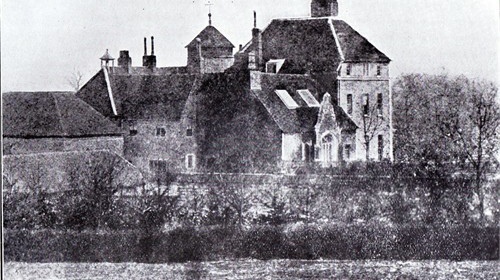 The manor of Toddington dates back to the 11th century at least when its fifteen and a half hides were held by Wolfweird ‘Levet’ before the Conquest. In the 1240s it was held by Simon de Montford by virtue of his having married Eleanor, sister of Henry III whose first husband, William Marshall, Earl of Pembroke had been granted the manor following that marriage. 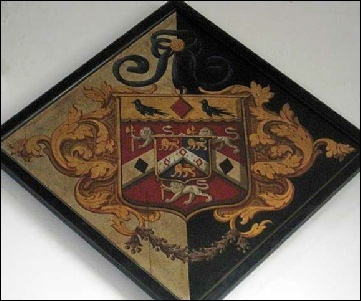 It later passed to Roger Bigod, the King’s seneschal who, when he died in London, ordered that his body be buried there, but his heart be buried at Toddington. In 1362, the manor was worth £12 12s 8d indicating how the manor had suffered from the plague earlier that year. In the early 15th Century, Sir Thomas Cheney of Kent married Ann Broughton, heiress of Sir John Broughton in Toddington. There was no manor house at that stage for it was their son, Henry who began the building in 1559 following the death of Sir Thomas. In 1563, Henry was knighted here by Elizabeth I. The imposing mansion, based on three courts, was three storeys high with four-storey round towers at each corner, and a 210ft-long frontage from north to south. But Sir Henry died childless in 1587 and the estates passed to his widow, Jane. She was from the Wentworth family, daughter of the 1st Baron Wentworth. Though the manor was to stay in the Wentworth family for the next few generations, it had a chequered career. King James I was entertained there in 1608 but when Jane died in 1614 the estates passed on again to her great-nephew, Sir Thomas Wentworth, the 4th Baron and later Earl of Cleveland. Unfortunately both he and his son ran up massive debts. The manor, which had been sequestered by the Commonwealth, then passed to Cleveland’s granddaughter, Henrietta Maria, Baroness Wentworth. In 1683, her lover, The Duke of Monmouth, illegitimate son of Charles II was forced to hide at Toddington after being implicated in the Rye House Plot. He was exiled and Henrietta followed him, but returned to Toddington. Monmouth was executed in 1685 following the Battle of Sedgemoor and Henrietta died a year later. Sixty years later sees the manor in serious disrepair and partially dismantled by William Wentworth, the Earl of Strafford, the only parts remaining more or less intact being the North East Corner, the kitchens and one solitary turret. In 1806, the ruin was bought by John Cooper Esq who, together with his son-in-law, William Dodge Cooper Cooper, set about restoring the manor to its former glory and this is how it stands today. It is with John Cooper that our story begins…..
Not too much is known of John Cooper and his early life other than that he was born on 16th January 1759 and baptised on February 11th. He married Jane Gidden – who was probably from Wilmslow, Cheshire – and they had one daughter, Elizabeth. 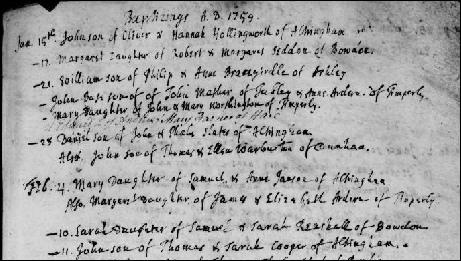 John’s father, Thomas, appears to have changed the family name from Cowper to Cooper and of the twelve children he sired, only two, John and Sarah, survived infancy. Sarah also died quite young as well – in her late teens – as she passed away in 1785. John must have been the lucky one. When he bought Toddington Manor in 1804, he had already amassed a lot of property as far flung as Ashley, Timperley, Partington and Hale in Cheshire, Rayleigh, Gravesend and Ramsgate in Kent as well as a house in Finsbury Square, London. Property in West Thurrock and two small farms in Bayhouse were purchased in 1807. This amounted to some 706 acres. 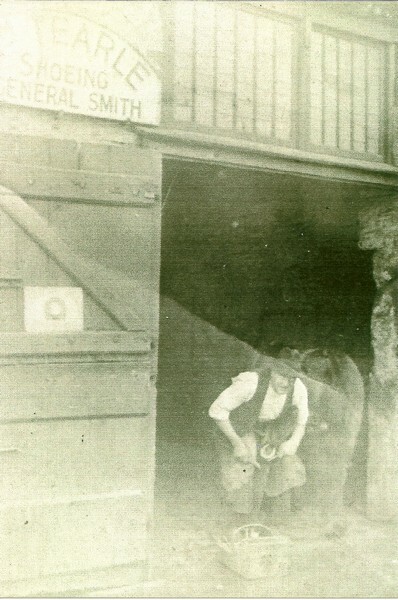 Between 1806 and 1809, John Cooper purchased the Highgate brewery – a business which was known to exist in the 1670s – in Highgate, London from John Addison who had purchased it himself from the Southcote family not long before. It cost Cooper £1,000 pounds and comprised three parcels of land (£480 + £420 + £100) and probably included the brewery and yard. Under Addison, the brewing activities relocated to Homerton and John Cooper dismantled the brewery and turned the lands into his Town House Estate, Park House. The total area was approximately twelve and a half acres. A more detailed history of Park House is described in a later section. John Cooper was Sheriff of Bedford in 1812. His daughter, Elizabeth, married her cousin, William Dodge Cooper Heap in 1803 and it can only be assumed that this was ‘arranged’ in order to keep the manor – and all other property owned by John Cooper – safe within the family. Part of the provision of this marriage was that William change his surname to Cooper which he officially did in 1819. John Cooper died in 1817 and his will published in October of that year named Elizabeth Cooper as his heir. William Dodge Cooper Heap was born at South Hayling – on Hayling Island in Hampshire – to the Curate of South Hayling, Rev John Heap and Anne Dodge Cooper, who was born and brought up in Bosden, near Cheadle in Cheshire. A custom of the times was to include past family surnames in a young child’s forenames, thus when young William he was baptised with the names of his maternal great grandparents. The life of a Churchman would often mean a lot of moving around, and so it was with the Heaps: The Rev John would take his family to Westborne in 1795. On 19th March, 1803, in the County of Middlesex (at St Luke’s Church, Old Street, Finsbury), William married John Cooper’s daughter and heiress, Elizabeth. Because she was his cousin, part of the marriage agreement was that he changed his surname to Cooper in order to inherit. This he did in the year of 1819 by Letters Patent following the death of his father-in-law. William Dodge Cooper Cooper was now Lord of the Manor in Toddington and a leading landowner in Highgate. He appears to have divided the majority of his time between the two estates and rather than sit back and play the country squire, was extremely active in his duties. He was a magistrate in both Bedfordshire and Middlesex and was Deputy Lieutenant in the former as well as being Sheriff in 1824. He chaired the Assembly at the Gatehouse Public House in Highgate and was Chairman/Treasurer of Highgate Public School as well being on the Management Committee of the National School – now St Michael’s – a short walk along North Road from the public school. Book Society Meetings were also held at Park House. William and Elizabeth had several children: John was born on 30th January 1804 but probably died in infancy as no further records can be found; Jane, who was both deaf and dumb, on 7th November 1805; Elizabeth on 30th November 1806; William was born 10th April 1810; Amelia, 15th November 1812; Caroline on 4th September 1813; Henrietta on the 2nd September 1815, but sadly died at the age of 5 on 7th June 1821. Lucy followed 1st November 1818. 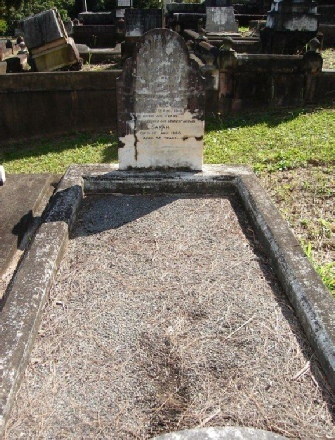 Alfred John was born on 31st August 1819 but also did not survive infancy. James Lyndsay, 12th February 1821. Elizabeth married a Dutch count and Lucy was espoused to Henry (later Sir) Robinson of Knapton in Norfolk. Amelia’s marriage at the age of 36 was not so grand: Moses Tearle was a twenty one year old labourer, probably working for the Lord of The Manor at Toddington and one can only speculate on the circumstances of this liaison. The stories of these three girls – Elizabeth, Lucy and Amelia – have been expertly told elsewhere, so I will not go into any significant detail here. The London Gazette dated 12th February 1829 states that William and all other elected Sheriffs of their Counties were present at the King’s Court at Windsor – presumably for investiture by his majesty, King George IV. William Dodge Cooper Cooper, Esq. to be Deputy Lieutenant. Dated 27th March 1834. William was very keen to encourage his labourers and was a leading light in allotting them small pieces of lands on his estate – allotments. In 1835, the secretary of Society for the Encouragement of Arts, George Atkin, wrote to the Lord of the Manor enquiring as to ‘how far the good results that followed the first introduction of this plan continue to be realized’. 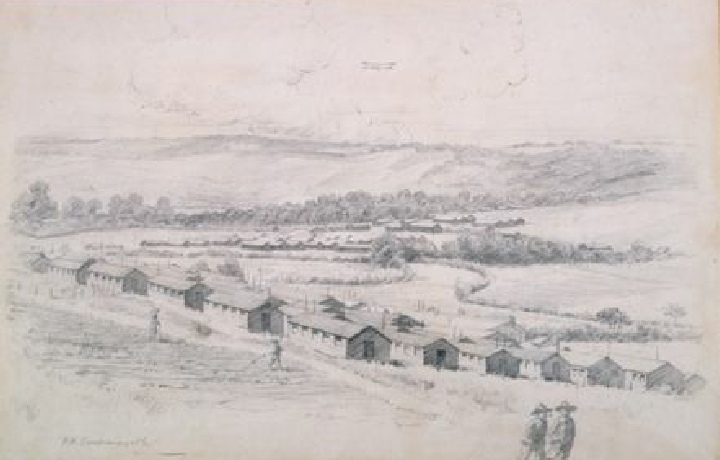 William replies – apologising for the delay as he was away from home (the letter was sent from Park House on the 5th of August, 1835) and assures Mr Atkin that he has made some observations which he trusts will not be unacceptable. In other words, we may gather that the scheme was a great success. The letter is signed as ‘Wm. D.C. Cooper’. 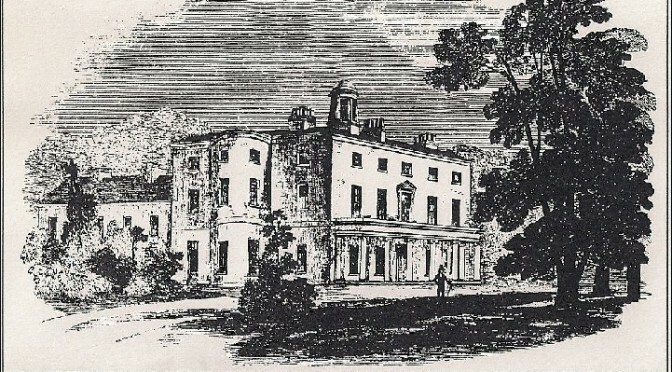 In 1839 it was noted that ‘William D.C. Cooper was the largest landowner in the parish with 706 acres’ – this would be his estates in West Thurrock and Bayhouse. In the census of 1841, the family is living at Park House. Joining them is eldest son William’s wife, Laura (nee Ellis) and presumably their son William Smith Cowper Cooper who was born in 1832, the year after his parents were married. The house also boasts six household servants. It was also noted in the Dover Telegraph of 1850 that William was ‘Present at Dinner’ on the 30th of November in Ramsgate, Kent. William had a house in Nelson’s Crescent, overlooking the harbour. In 1851, a very long winded document states that, for the lands that William Dodge Cooper and his wife (as well as other landowners) owned in the parish of Harlington that had been leased to tenants under the Act of Enclosure, the price of a bushel of wheat need be determined in order that a fair tithe, rent or corn rent could be established for the previous 10 years, these dues being payable to the vicar of the parish church of Harlington. 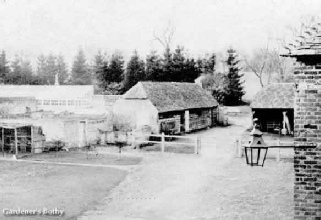 In 1855, William presented the village with a water pump, sited on the village green. Sources inform me that this was still in use during World War II and it was quite hazardous to collect the water as the Luftwaffe were continually trying to bomb the nearby tank factory! 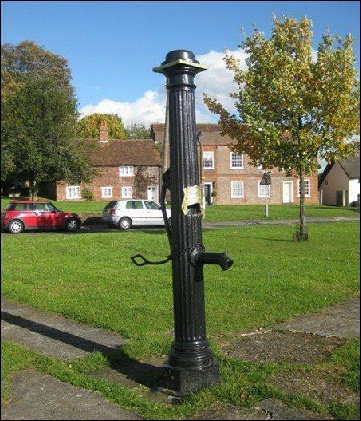 It is probably that the pump replaced a pond in the square which would have provided for townspeople and also visitors and there livestock ie horses. In all likelihood, two people with a large bucket on a stick carried on their shoulders would be the method of obtaining water. 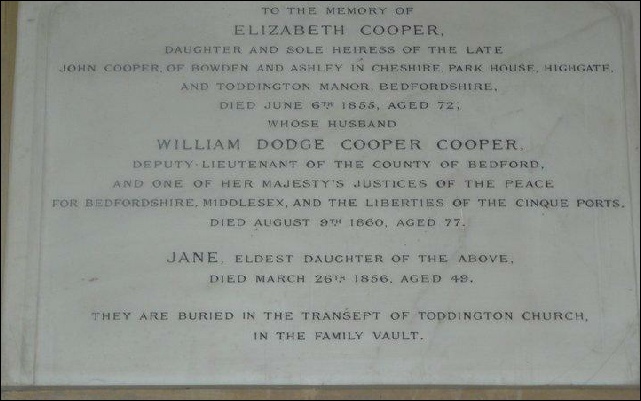 Elizabeth, daughter of John Cooper and wife of William, died on 6th June 1855 – she was 72. We can only imagine the grief in the household. The more so as their daughter Jane died the following year on the 9th August 1856. On the 2nd of March 1856, one Samuel Fletcher was convicted for stealing two steel rabbit traps of the value of 7 shillings, which were the property of William D C Cooper Esq at Toddington. Fletcher was was sentenced to 1 month of hard labour. Poaching was clearly a problem – as we shall see later in the story of William D. C’s son, William. William Dodge Cooper Cooper died on 9th August, 1860 at the age of 78. 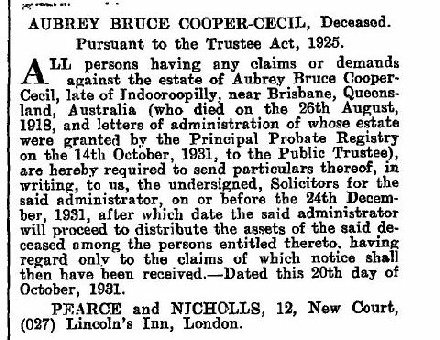 William’s will was proven in Her Majesty’s (Queen Victoria) Court of Probate on 6th October 1860 naming William Cooper Cooper and the Rev James Lyndsay Cooper Cooper as executors. A notice appeared in the London Gazette dated 17th March 1865 and was published by N C and C Milne – the family solicitors. William Cooper Cooper (he doesn’t seem to have any other names) became the Lord of the Manor on the death of his father. He was 50 years old. When he was 21, he married Laura Ellis – on 26th April 1831 – and a year later their only son, William Smith Cowper Cooper, was born. Laura was the daughter of Captain Thomas Ellis of Tuy-dee Park, Monmouthshire. 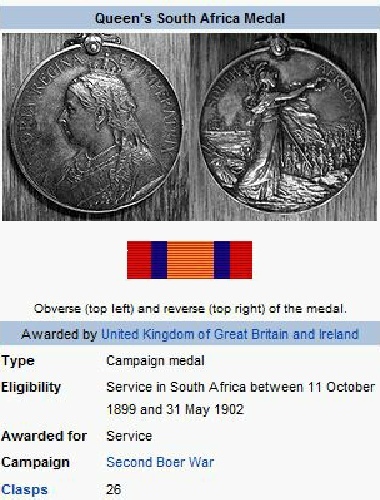 He was a Justice of the Peace as well as Deputy Lieutenant of Cheltenham, Gloucestershire. Whilst perpetuating the use of family surnames (was Smith from Laura Ellis’ side?) it rather looks as though William the father was looking at the earlier spelling of their surname when naming his child. 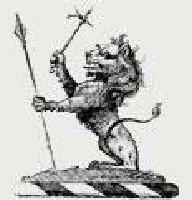 Commissions signed by the Vice Lieutenant of the County of Bedford name William as vice Lieutenant from 1843, and 3 years later on the 21st February 1846, William (Gent) enlisted in the Bedfordshire Militia as a lieutenant. At some point he was promoted to Captain, for the London Gazette reports on the 24th March, 1858, Captain William Cooper Cooper ‘be a Major’. It is not known when, but William left the militia sometime after that. 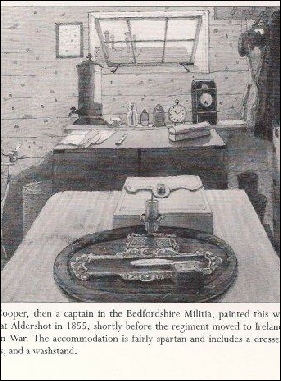 In 1855, the regiment was sent to Ireland from Aldershot for garrison duty during the Crimea war. The Militia had been reorganised in 1852 because of the threat of invasion from Napoleon III. 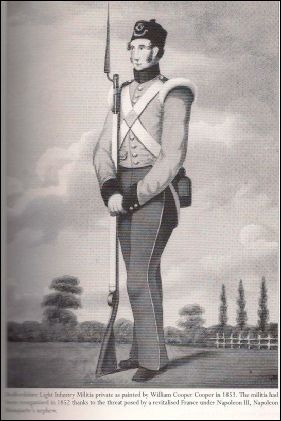 …as well as this painting of a private of the Bedford Light Infantry Militia. Clearly William had an artistic bent since he was known as a collector as well as being a pioneer in the art of photography. 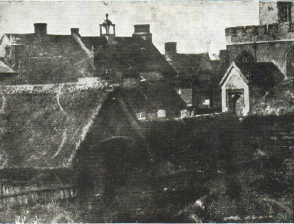 Here, below, we see a very early photograph taken by William, in 1854. It was mentioned earlier about the nuisance of poachers. Well, the above photograph shows one caught by Norman Snoxall, the gamekeeper for the Toddington estate, who was a former police officer in another part of Bedfordshire. He died a couple of years after this photo was taken. What became of the poacher is unknown. William’s apparent love of this artistic doesn’t just stop with painting and photography: some years earlier – 1836, when William’s father was alive – a Roman brooch was dug up by a gang of labourers and taken to William who, according to the story, promptly bought it. 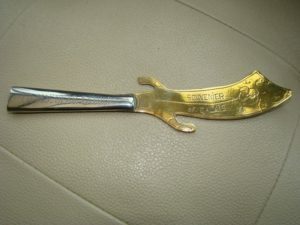 I have speculated elsewhere as to whether one William Tearle was amongst those labourers and even contemplated the possibility that he could have been the man who dug up the artifact. Probably, we shall never know. 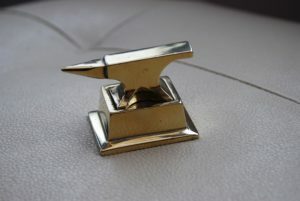 Also in the William Cooper Cooper collection is the Toddington Brooch. An Anglo Saxon cruciform brooch, this has been dated to the 6th century and whilst it has been questioned as to whether it was found at Toddington, the describer (name and source unknown) points out that “Major Cooper Cooper is known to have collected material from Toddington”. 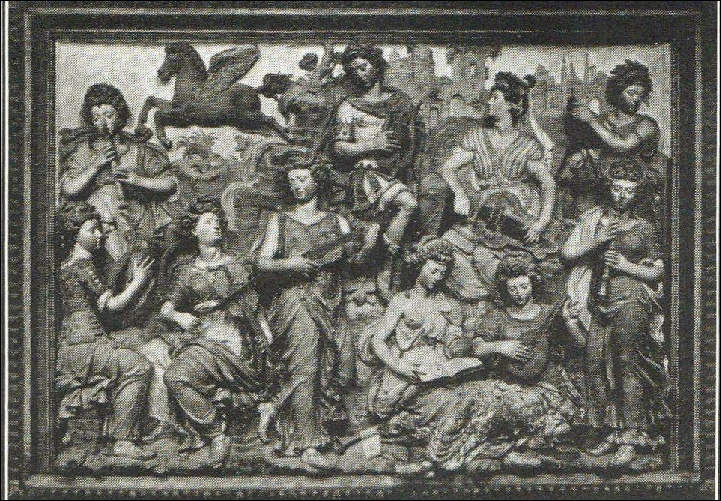 In 1844, William purchased at auction a carving entitled “Apollo and the Muses” – a piece that had previously been part of the old Manor House before its near destruction by the Earl Strafford. The myth of Apollo and the Muses is well known. The subject represents Apollo and the nine muses in concert, and is full of exquisite detail, the figures in high relief; The date is thought to be of the sixteenth century. It measures 6 feet by 4 feet two inches, and weighs about two hundredweight. William continued to photograph Toddington and it must be said that we have all benefited from his foresight. Some of these pictures are reproduced in the Miscellany section below. On Feb 2nd 1867 William was present at the Queen’s Court on the Isle of Wight – Osborne House – for his investiture as Sheriff of the County of Bedfordshire. William died in 1898 and his place as Lord of the Manor was taken by his son, William Smith Cowper Cooper. 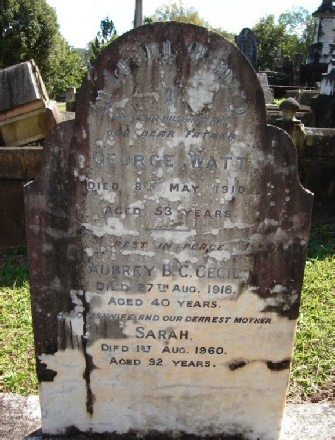 And, sadly, here the story ends, for this William died a mere 7 years later in 1905. 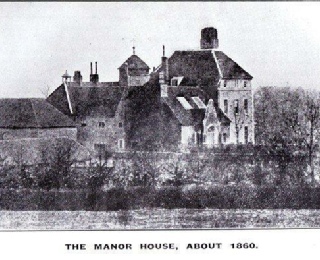 With no male heirs, the Manor house was sold as was the London residence, Park House. Ida born 1870 died 1876. All four girls had Cowper Cooper as their last two names and when the two surviving daughters married,that was the end of the Cooper surname. The family were only residents at Toddington for a hundred years, but I like to think that their restoration of the building both inside and out and the way in which they conducted themselves as Lords of the Manor has left a legacy that has enriched the history of a little Bedfordshire village called Toddington. I have explained how John Cooper bought the land, sold the brewery that stood there and built his town house on the land. 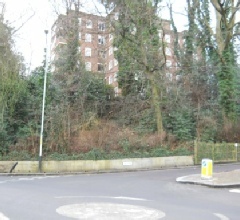 Here, exactly, is where it stood: the site of Park House and its grounds sits on a plateau of land in Highgate, a part of the Northern Heights of London, forming a triangle between Southwood Lane on the east side, North Hill to the west . 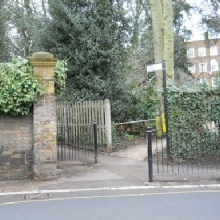 On the northern side there is a steep bank known as The Bulwarks and Highgate Village is a five minute walk to the west. Beyond The Bulwarks, Highgate Wood – formerly The Bishop’s Wood – spreads towards Muswell Hill; Hampstead Heath is only a short walk to the west. In the days of the Cooper Coopers, and for very many years before, the surrounding land was used for rough grazing. Highgate is still is termed a Village today, but in those days it would certainly be more recognisable as such rather than a concrete extension of the crawling spider that is London now. It is interesting to note that an unknown article dated 1851 refers to Park House being known as the residence of ‘Squire Cooper’, though whether this refers to William DCC – who would have been Squire at the time – or his father, John, is not stated. Either – or both – would often ride in the direction of Muswell Hill through Gravel Pit Wood (now Queen’s Woods) and my guess would be that the path would possibly take the course of Muswell Hill Road, which today separates the two forested areas. Whatever form it took, the ride was known as ‘Squire Cooper’s Ride’. Wide and busy, the Archway Road, cuts off Highgate Woods from The Bulwarks; one can only imagine the true extent of uninterrupted scenery, with its sometimes gentle, sometimes steep undulations, deep forest and rough grazing land. 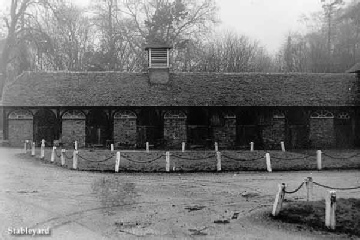 Not too many years ago, excavations very close to – and within the grounds of – Park House revealed not only cellars related to the brewery that had stood there, but also a series of tunnels. It would appear that these were made with intention of hiding Militia at a time when the threat of invasion from Napoleonic France was very real. 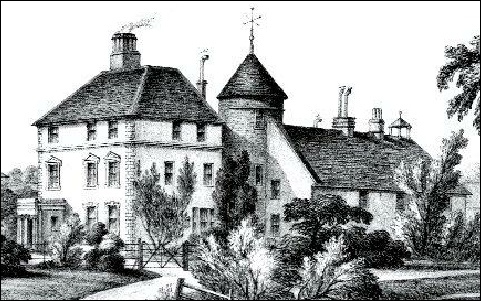 It is most likely, too, that my ancestor Moses Tearle – who married William DCC’s daughter Amelia – spent some time at Park House with the family; they were married in Hornsey. The untimely and early death of William Smith Cowper Cooper meant the end of Park House – as it did of Toddington Manor – and the Highgate residence was sold. In 1848 it had been converted from a school for backward children into a refuge for prostitutes and in 1855 it was leased to the London Diocesan Penitentiary (later the House of Mercy) for, it would seem, the same purpose. The poet Christina Rosetti was a volunteer here. 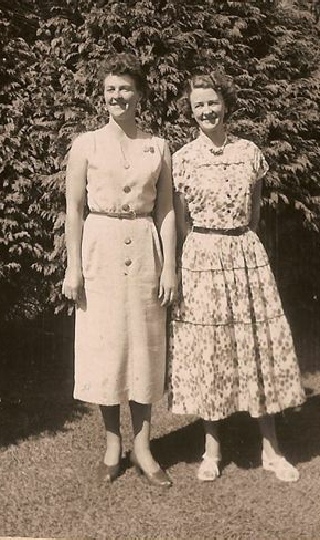 In 1900 it passed to the Clewer sisters but fell vacant in 1940. The House survived for another 7 years before it was demolished to make way for the estate built by Hornsey Borough Council for the main purpose of housing those who had lost their homes during the war and new, young families. It was aptly named Hillcrest and still survives today, though many of the apartments are privately owned. The seven blocks of flats were all named after leading military men of the second world war – Tedder, Dowding, Montgomory, Mountbatten, Cunningham, Alexander and Wavell. 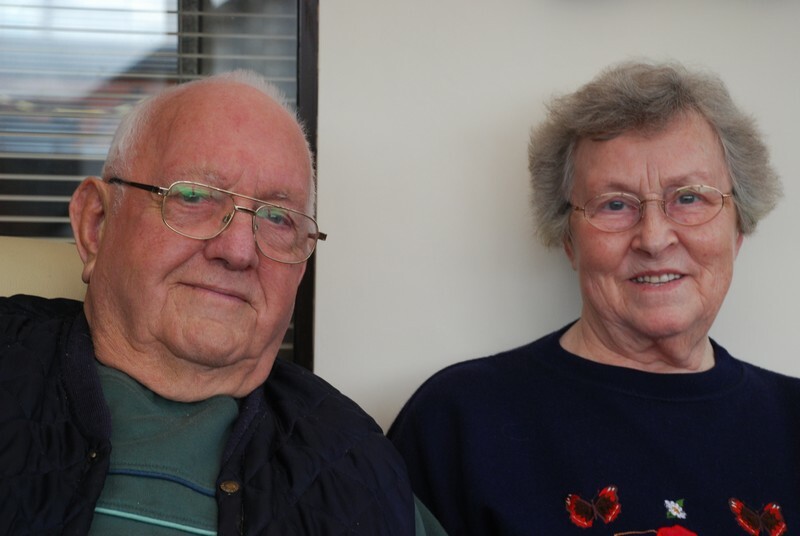 And it was into No 6, Wavell House that Leslie and Mollie Tearle, with their two young children Barbara and myself, Richard, moved in the year of 1949. It would be almost 50 years before this amazing coincidence of family history would be discovered. 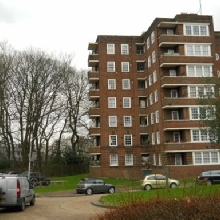 The actual site of Park House is unknown and although this view and that of Wavell House (below) do look similar, I don’t believe that they are compatible. 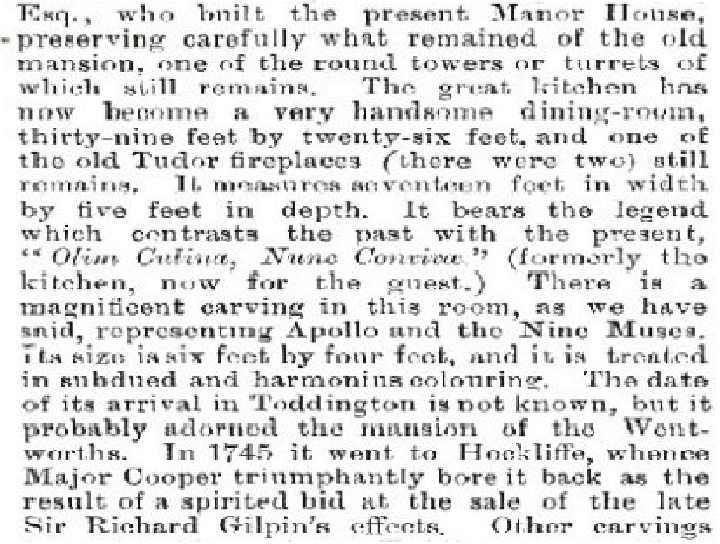 The Hornsey Society article states that Park House faces North Hill and is located fairly centrally. If this is the case, it would have been a little behind and to the right of where the photographer was standing to take the picture of Wavell House. Entrance to the Hillcrest Estate in Southwood Lane. Park House Passage is on the left and leads to North Hill and the Wrestlers Public House. “The Bulwarks” from the junction of Park Road and Southwood Lane. The visible block of flats is the rear of Wavell House. In writing this story there have been many ‘tangents’ which I have reluctantly ignored in the main body of the text as well as numerous photographs which, though of high relevance, might have distracted from the story. I hope to put some of that right in this section, though things will not be in any chronological order nor any particular order of priority. (Major William Cooper Cooper was known to have been the photographer for pictures 1,3 and 4 – perhaps others). Brief mention has been made of other children of William Dodge Cooper Cooper and it is worth adding just a little more. Lucy married Henry Robinson of Knapton in Norfolk on 14th July 1842 and bore him five children. In 1845 he was knighted, but it transpires that he had a mistress and sired three children on her. The marriage continued, but one wonders about the situation and what grief Lucy must have endured. She died in 1889 aged 71 and her memorial appears with her husband’s in Knapton Church. Elizabeth married a Dutch nobleman, Count Alexander Charles Joseph Vander Burch, chamberlain to His Majesty the King of the Netherlands. Much of her time would have been spent abroad, but there is evidence to suggest that she made visits to her sisters in Toddington. 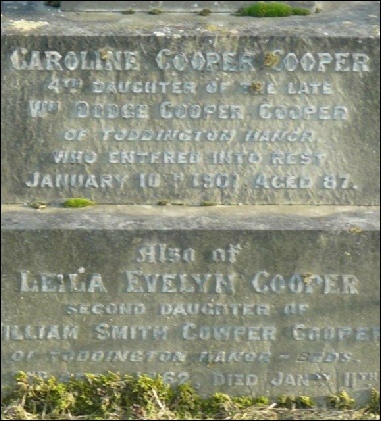 Caroline Cooper Cooper lived at Toddington all her life, never marrying, and died at the age of 88 in 1901. 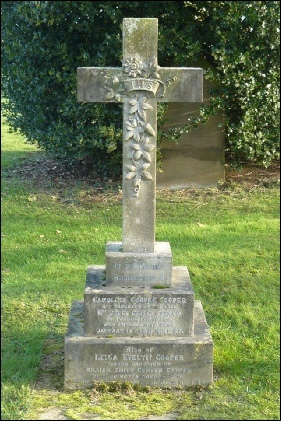 Caroline’s grave in Toddington Cemetery together with Leila Evelyn, daughter of William Smith Cowper Cooper. Still in existence is a cookery book signed on the front page by Caroline – that its recipes are for foreign food suggests that it may have been given to her by her sister, Elizabeth. It is dated 1848 in her hand. A window in Toddington Church was donated by Caroline. 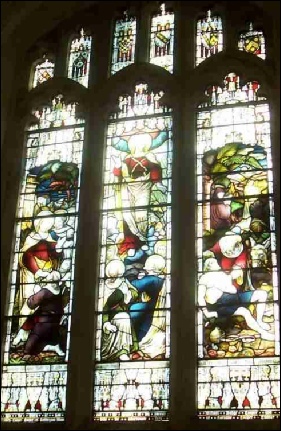 Circa 1892, she wrote: “I have promised my brother Major Cooper that I will contribute whatever he may require up to £150 for the window now being erected in Toddington Church in memory of my late father and mother. If this is not paid before my death it will of course be a debt due on my Estate which I desire you to satisfy. If the stained glass window is not paid for before my death £250 more or less to be paid for it – in memory of my dear father and mother. James Lindsay Cooper Cooper was the youngest of the family and entered the Church quite early in his life. As patron of the Living of Toddington, his father presented him to the people in 1846 when he was aged 25. A year earlier, James had married Rebecca Singleton and their only child, also named Rebecca, died at just six months of age. I had hoped to include illustrations of this cruciform brooch as well as the ‘famous’ bronze elephant found on Major Cooper’s land, but the only ones I have found are in PDF format and cannot be reproduced here. In writing this account, I have borrowed from the stories of the Toddington Tearles excellently written by Barbara Tearle and Ewart Tearle and I have tried to knit these tales together without diverting attention away from them. Likewise from Wendy Skelley in New Zealand who with great kindness sent me just about all her research notes, so the hard work was hers and any mistakes have been my misinterpretations or conclusion jumping. It was her enthusiasm for the project when I first suggested that I attempt it that spurred me on. Thank you all. 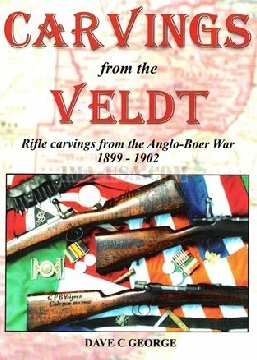 Various publications have been used to gain some further snippets of information: The London Gazette (online), Bedfordshire at War, and numerous books on Bedfordshire. Also to Hornsey Historical Society for an article on Park house which I have used to base my narrative of that section. 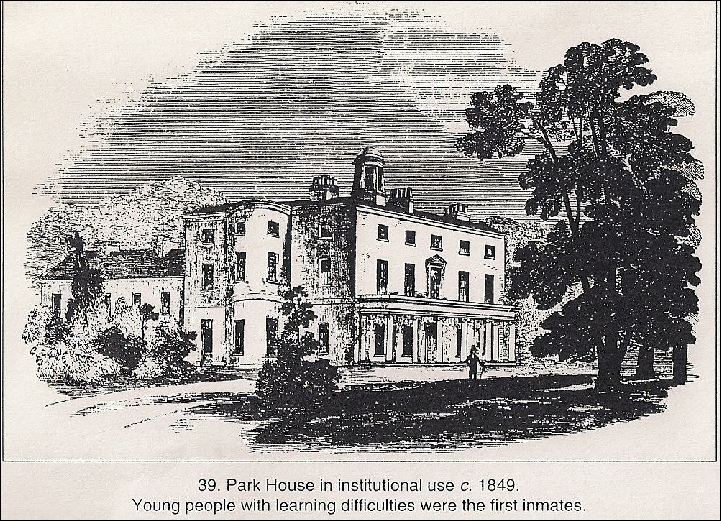 The picture of Park House also comes from that source. Mention must be made of the Toddington Village page on Facebook and especially Phil Mead whose clear love of the village has led him to find out so much that has to do with the Cooper Coopers. He – and one or two others there – have answered my often stupid questions and also provided very valuable information that may not have been obtainable elsewhere. And it is them that I must thank, too, for so many of the illustrations of Toddington Manor and the general area. Aubrey Cooper Cecil – born 10th March 1847 at Toddington Manor, Bedfordshire, England. The story of Aubrey’s ancestry and childhood has already been told in ‘A Victorian Mésalliance, or, Goings on at the Manor’ written by Barbara Tearle. On the 1871 census Aubrey is listed as the ship’s surgeon onboard the ‘Alibi’ in Aberdeenshire, Scotland. His medical training has never been established, and he was known for his prankster antics so he may well not have been a medic. During 1876 Aubrey and his brother, Egerton Dodge Cooper Cecil, played cricket for Hampshire. However it was a short-lived sporting career. Aubrey was a right-handed batsman and represented Hampshire in a single first-class match in 1876 against Derbyshire, scoring six runs. On the 24th August 1878 Aubrey married Elizabeth Peadon at the All Saints Church in Southampton, Hampshire, England. Elizabeth was the only child of William Peadon and Mary Mathews. They were Innkeepers from Chard in Somerset, England. 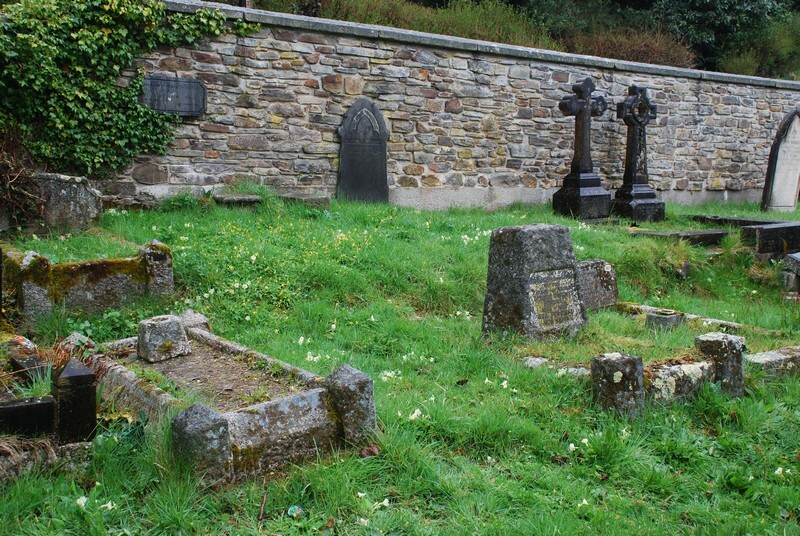 William was deceased at the time of marriage and Mary was living with her old Aunt. Within the next few weeks Aubrey and Elizabeth left England and the next record of them is appearing in Australia in 1878. When they left England Elizabeth was heavily pregnant and on the 10th September 1878, on board the vessel ‘Scottish Prince’, she gave birth to their first son, Aubrey Bruce Cooper Cecil. It is hard to imagine how difficult that voyage must have been. They arrived with their newborn son 16th December 1878 in Townsville, Australia. 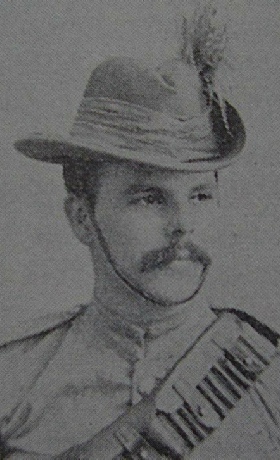 Aubrey began working in Australia but returned to Hampshire in England after his mother’s death in August 1880. The 1881 census was conducted on the 3rd April and Aubrey was living with his wife and son, boarding at a policeman’s house. 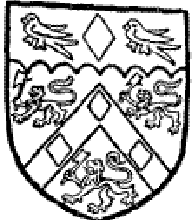 Their second son, Egerton Burleigh Cooper Cecil, was born 16th June 1881 at Chiswick Cottages, Middlesex, England. 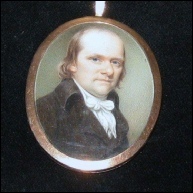 Egerton was named after Aubrey’s brother. The couple and their two children then returned to Australia not long after. 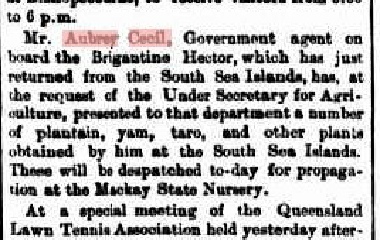 In the Shipping News published in the South Australian Register Monday 9th January 1882 it lists Mr & Mrs Aubrey Cecil arrived on the Lusitania, a steamer, that left London November 24 1881. They had travelled staying in the second saloon to Sydney. The Lusitania was built in 1871 and owned by the Pacific Steam Nav. 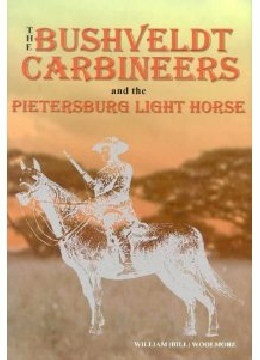 Co.
Aubrey became a Government Agent on ships voyaging to the Pacific Islands. The following are extracts from Brisbane’s historical papers online. 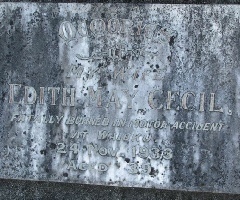 In 1887 Aubrey and Elizabeth had another son, Vernon Digby Cooper Cecil, who sadly was only one when he died. Aubrey was away at sea often, so it is likely that the boys didn’t see a lot of their father growing up. 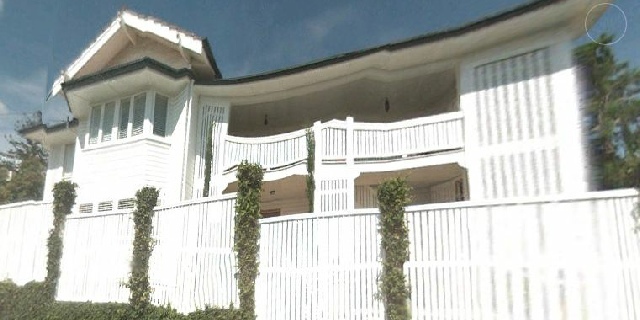 The Cecil family home was at 75 Milne Street, Clayfield, Albion, Brisbane, Australia. Clayfield has always had a reputation as an exclusive Brisbane Suburb and has not diminished with the newer development. Many of the older more substantial homes have fortunately survived. … The main arterial roads such as Breakfast Creek Road, New Sandgate Road, Old Sandgate Road (now Bonney Avenue – so named to commemorate the memory of Flores Bonney, who gained considerable fame as an aviatrix) had some semblance of being formed, but the subsidiary roads were more or less reservations, 66 feet wide and with a plough furrow down each side to act as a gutter and water table – the centre was more or less of the old three track style now very rarely seen, even in the country, the two outside tracks made by the vehicle wheels and the centre track made by the horse. These roads were naturally very dusty and so an occasional water cart was used in an endeavour to abate this nuisance. One seldom travelled on any road in any type of vehicle without a dust coat. … The Clayfield area was close enough to be able to enjoy the Brisbane River and in addition was served by two main waterways, Breakfast Creek and Kedron Brook. The former, however, apart from the boat anchorage was of little value, but Kedron Brook rising in the back hills of The Gap, flowed into Schultz’s Canal, The Serpentine and so on into Moreton Bay. … Almost everybody had a horse drawn vehicle of some sort as in those days most houses had room to run horses and most conveyances were drawn by a single animal, although occasionally in town one saw pairs, but very seldom tandem. 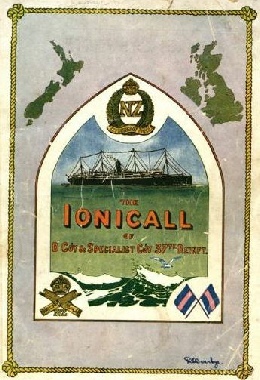 Three weeks ago Mr Aubrey Cecil, Government Agent on the labour schooner Helena, reported to the Government of this colony that the French were preparing to occupy the islands in the New Hebrides Group of which they at present hold possession, and that they intended to increase the number of troops there. 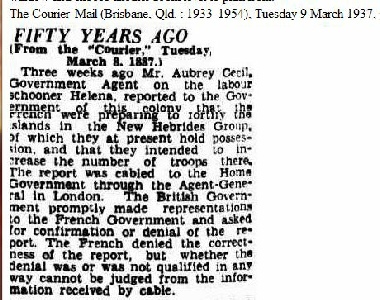 The report was cabled to the Home Government through the Agent-General in London. The British Government promptly made representations to the French Government and asked for confirmation or denial of the report. The French Government denied the correctness of the report, but whether the denial was or was not qualified in any way cannot be judged from the information received by cable. 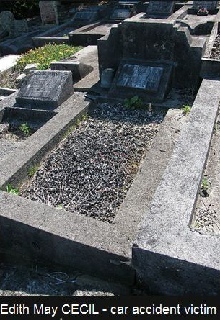 Aubrey Cooper Cecil died 22nd January 1900 and was buried at sea, he was only 52 years old. On his death certificate it says he as buried at Lat 105. S Long 161.13 E, near the Santa Cruz Islands north of Australia. 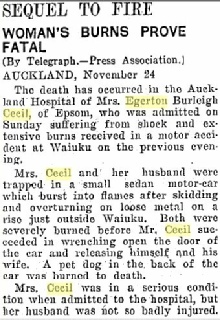 After her husband’s death, Elizabeth Cecil continued to live in Australia until about 1912 when she moved to New Zealand, to be with her son Egerton. In the early 1800s two men moved to Toddington. 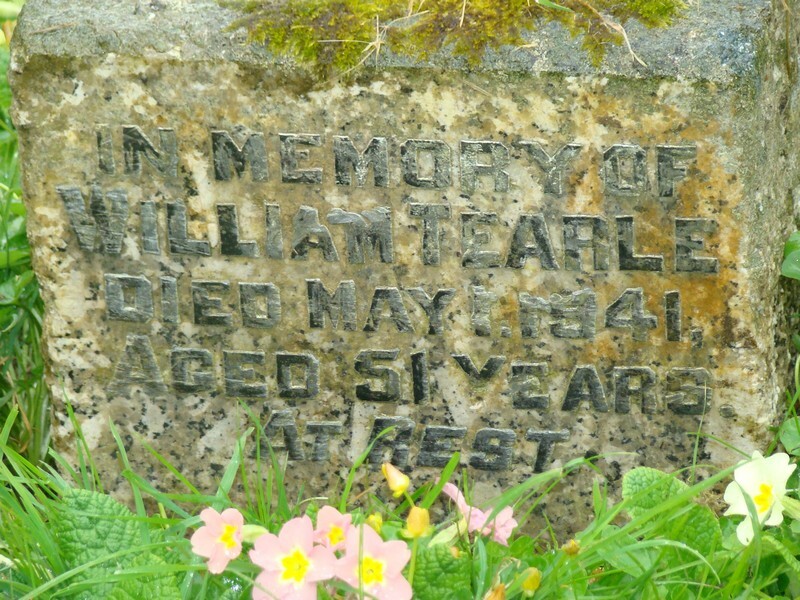 John Cooper was at the top of the village’s social scale and William Tearle was at the bottom. This is the story of how their descendants’ lives converged. Toddington during the 19th century was a small country town with a population of 1143 in 1801, rising to 2800 in mid-century and declining to 2000 by 1900. 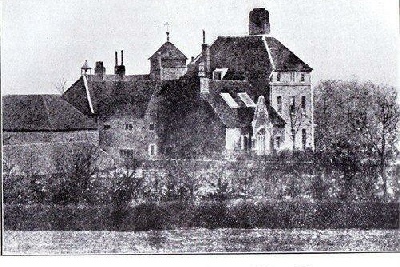 Shepherd’s 1818 picture of carters unloading in Toddington (in Joyce Godber’s History of Bedfordshire) shows a substantial stone church and two farmhouses with wooden frames and brick infill, and a contemporary account talks of brick-built Georgian houses round the Green where five roads converge. There were shops, craftsmen, and chapels for several denominations in addition to the parish church and schools. The weekly market was revived for some years during the century. The Holyhead road, now the A5, ran a few miles to the west of the town and in 1868 the railway was built through the east of the parish and the nearest station was Harlington, but Toddington did not have its own station. The overall impression is of a small town which was just not appropriately situated or sufficiently prosperous to take advantage of the conditions for industrial expansion such as occurred at Luton. 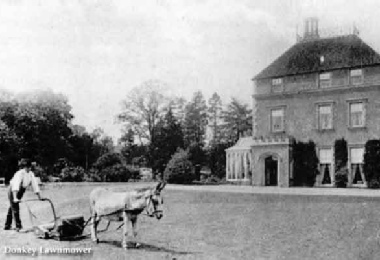 John COOPER arrived in 1806 when he bought Toddington Manor from a descendant of the Wentworth family. 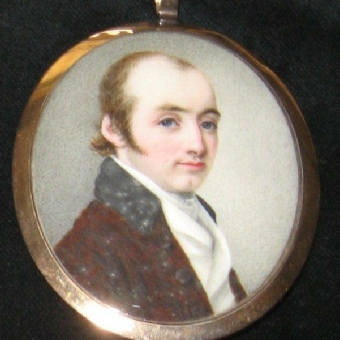 His daughter and heiress Elizabeth married her second cousin William Dodge Cooper HEAP, who changed has surname to COOPER in 1819 as a condition of inheriting his father-in-law’s property, which he did in 1824 – William Dodge COOPER COOPER, which is cumbersome but easy to find in records amidst all the other Coopers.. In addition to Toddington, he had property in Chester and Essex and a house in Highgate (redeveloped as flats after World War II where, coincidentally, I grew up during the 1950s). He was a Justice of the Peace for Bedfordshire and Middlesex, Deputy Lieutenant of Bedfordshire, and High Sheriff of Bedfordshire in 1829. William and Elizabeth had two sons and five daughters. The two sons married modestly. The elder, William COOPER COOPER (b 1810), inherited in 1860 and his descendants remained in the manor until early in the 20th century. 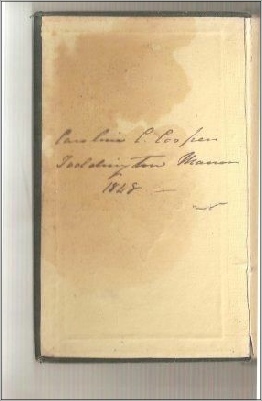 The second son, James Lindsay COOPER COOPER (b 1821) became a clergyman, was presented to the living of Toddington in 1846 by his brother who was the patron of the living. He resigned in 1862 on inheriting property. Of William and Elizabeth’s five daughters, the marriages of two (Elizabeth and Lucy, the youngest) were advantageously upwardly-mobile and are well documented. Elizabeth married Alexandre Charles Joseph VAN DER BURCH on 27 May 1828 at Hornsey, which is not far from the family’s town house in Highgate. He was the eldest surviving son of Count van der Burch of Ecaussines, which is about 25 miles from Brussels and 15 miles from Waterloo. The Count was a soldier and politician and the son was a diplomat or courtier, being secretary of the Dutch legation in Denmark and chamberlain to the first two Kings of the Netherlands after the defeat of Napoleon in 1815. In 1830 the southern part of the Netherlands broke away to form the Kingdom of the Belgians, with fighting round the area where the van der Burchs lived. Elizabeth and Alexandre had several children. They probably lived in Belgium and certainly visited their COOPER COOPER relations in Toddington. William and Elizabeth’s youngest daughter Lucy COOPER COOPER married Henry ROBINSON Esq. of Knapton Grove, Norfolk, at Toddington in 1842. In 1840 he had been appointed Standard Bearer of the Queen’s Bodyguard of Gentlemen-at-Arms. In 1845 he became their Lieutenant Commanding and was knighted. 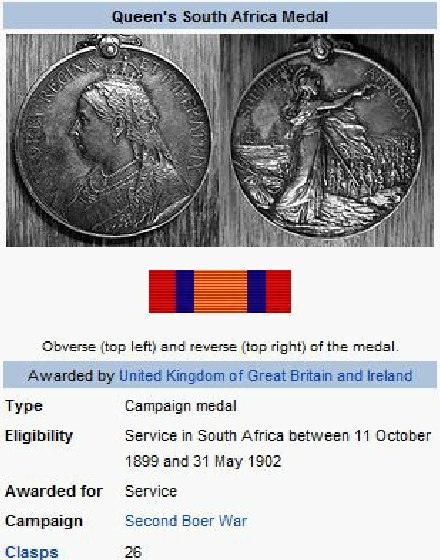 Later he became Deputy Lieutenant of Norfolk. William and Elizabeth’s daughters, Jane and Caroline never married. Jane (1805-1856) was deaf and dumb, an affliction which also affected her brother William’s son. Caroline (1813-1901) lived in Toddington all her life, and did the typical maiden aunt thing of mentioning all her nieces and nephews in her will. More of Amelia (1810-1880) later. This COOPER COOPER’s life style could almost be the stereotypical background for a Jane Austen novel. Maybe a decade after John COOPER bought Toddington Manor, William TEARLE arrived, probably having been hired to work on a farm. William TEARLE had been born in Stanbridge in 1797, the eldest of a family of 12, from one of several large TEARLE families in the village in the late 18th century. All were labourers by then, although earlier TEARLEs had been yeoman farmers and the family had lived in Stanbridge since the 15th century. Arriving from Stanbridge with a population in 1801 of 262 to most of whom he was related to Toddington with nearly five times that number and whom he did not know must have been a shock. William duly married Catherine FOSSEY who came from a prolific family of Toddington labourers. Or to be more accurate, Sarah, daughter of William and Catherine TEARLE was baptised on 2 January 1824, followed by their marriage on 29 January. William and Catherine had two more children, Moses in 1827 and John in 1831. 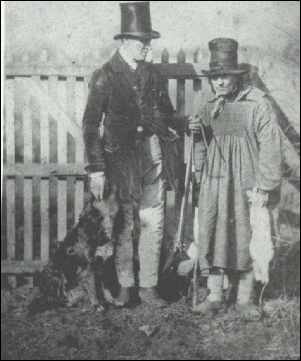 In 1841 William and Catherine TEARLE with Sarah, Moses and John were living at Lodge Farm where the whole family were shown as agricultural labourers. The farmer was William Martin and it looks as if the TEARLE family were living in as they are on the same entry in the census as William Martin and his family. Possibly they were in a tied cottage on the farm. 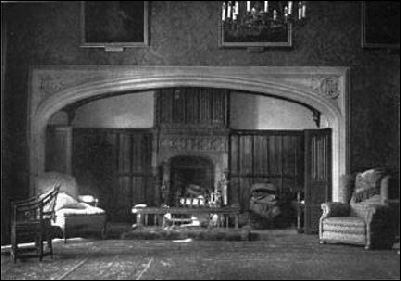 The next household listed on the schedule was that of William Dodge COOPER COOPER and his family at Park House, Toddington Manor. Sarah had a son Joseph in 1844 and married several years later. She was a straw platter, laundress and took in lodgers. 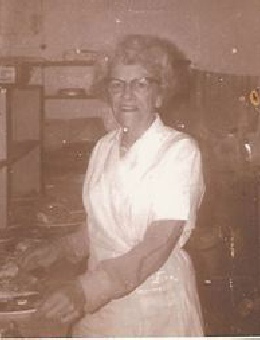 Her husband was an ag lab and her son Joseph was a straw platter, then an ag lab and later an innkeeper. Most of their descendants remained in Toddington well into the 20th century. I am descended from Sarah – or not, depending on how one interprets a birth/baptism//marriage sequence in the 1860s. John was also an ag lab, then later a general labourer living in Acton, London. Most of his family moved away from Toddington. At this point, let’s revert to the COOPER COOPER family and Amelia in particular. The official sources (Burke’s Landed Gentry) say nothing about a marriage or family for her. However on 10 March 1847, when she was 35, she had a son, Aubrey. No record of her marriage nor of the child’s birth or baptism has yet been found, unless he is amongst the unnamed male births for the March or June 1847 quarters. Aubrey’s date of birth comes from family papers now at BLARS. In the 1851 census he is aged 4 and born in Paddington; in all later documentation his place of birth is given as Toddington. I am inclined to think that Paddington was a mistake for Toddington made by the census enumerator, but it is worth bearing in mind. 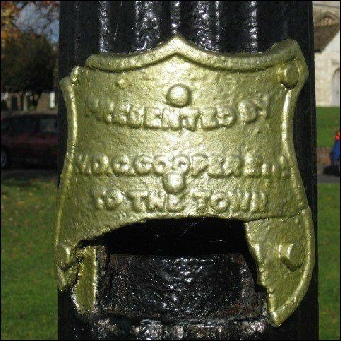 A Paddington place of birth would have provided anonymity for Amelia if this was an illegitimate birth to the daughter of the Lord of the Manor. Then in August 1848 36-year-old Amelia married 21-year-old Moses TEARL in London. The marriage was preceded by a generous marriage settlement providing for Amelia and Moses, but tying up the money so that Moses could not dispose of it. In fact Amelia became responsible for their trust funds. Moses was given an annual income for life if Amelia predeceased him and he did not remarry (a neat reversal of the usual provision). Moses and Amelia moved to Speldhurst in Kent. Their children were born in Worthing. As they were not living there, possibly Amelia went there for superior natal care. Later they moved to Portsmouth where their address was Melbourne House, which was in a comfortably middle class area. But it was rented out to a major in the Marine Artillery and they lived in a more modest area. Moses worked as a commission or estate agent and the Hampshire Telegraph and Sussex Chronicle contains several advertisements he placed for house and shops to let. 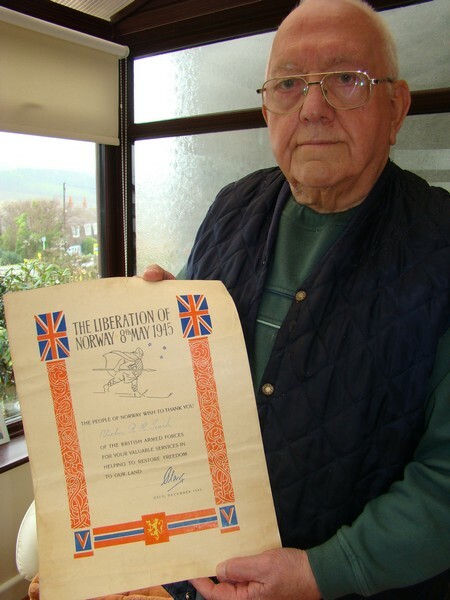 He entered into local society, at least to the extent of becoming a freemason. Moses and Amelia had four children all registered under the surname CECILL: Dodge Cooper born 1850; Elizabeth Dodge Cooper born 1851; Egerton Dodge Cooper born 1853; and Amelia Dodge Cooper born 1854. 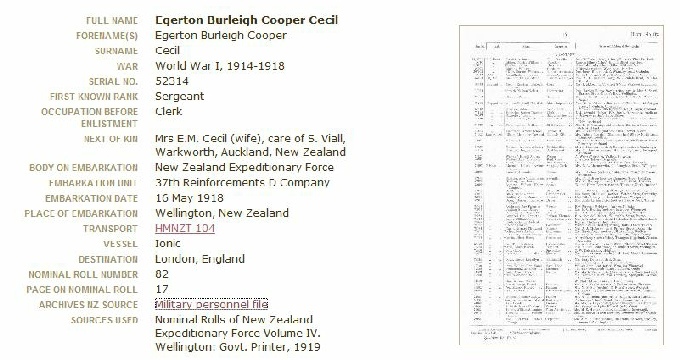 They also appear in census returns as CECILL or CECIL. The next generation were also registered under the surname CECILL, beginning with Aubrey’s son in 1872. On his marriage certificate, Aubrey called himself Aubrey Cooper CECIL, formerly Aubrey Cooper TEARL. Moses went beyond merely adopting the surname CECILL. 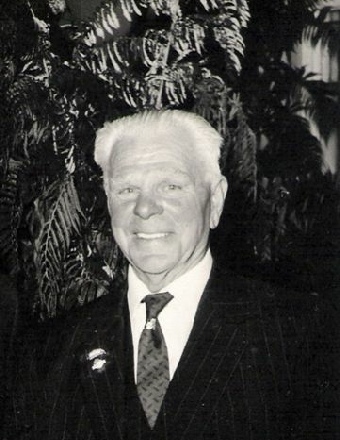 In many official documents and directories he calls himself Henry T. CECILL or Henry Moses T. CECILL. It would have been difficult to trace this family’s change of name had it not been for the fact that Amelia made her will under the surname TEARL. Amelia died in 1880, and Moses lived on until 1907, not marrying again and thus benefiting from the annual income under his marriage settlement. At his death he was living at Clarence Road, Richmond. Amelia may have disgraced herself and her family with an illegitimate birth and a socially unacceptable marriage, but her family did not cast her off. In addition to the marriage settlement, Moses, Amelia and the children maintained contact with the COOPER COOPER family in Toddington. They were involved in family business transactions and the children received bequests from their grandfather’s and maiden aunt’s wills. On one official document, Aubrey gave his last place of residence as The Manor, Toddington. The boys began their education at Eagle House Academy in Portsmouth. Whatever their later education was (and I have not yet traced it), it was sufficient to proceed to middle class careers. They were also all cricketers, playing for the East Hants club and Hampshire during the 1870s. 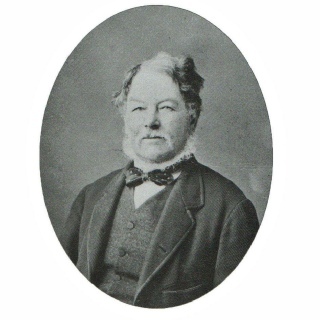 Aubrey was listed as a surgeon on board ship at Peterhead, Aberdeen in 1871, although I have not yet found any trace of qualifications, but by 1881 he was living on private means in Chiswick – not as grand as it sounds as he and his family were boarding with a policeman and his family. 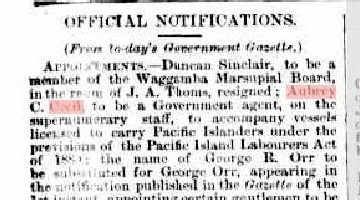 During the 1890s he emigrated with his wife and two sons to Brisbane where he was a government agent accompanying Pacific Island workers returning to their homes. He was involved in a Brisbane botanical society, donating specimens collected on his South Sea voyages. Dodge obtained a commission as ensign in the 47th Foot by purchase in June 1870, but sold it in October 1871. 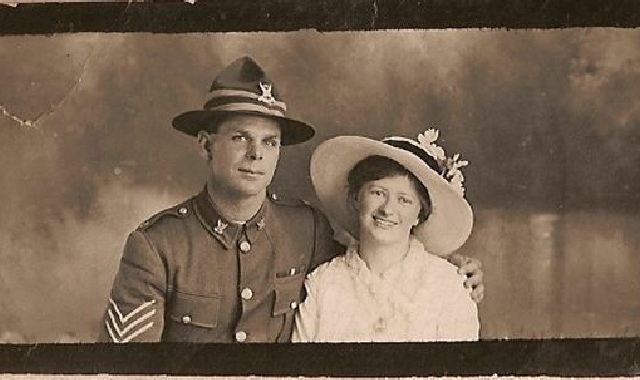 His regiment was stationed in Dublin, and it may be there that he married as his eldest child Frederick W (who eventually emigrated to Australia where he was a farmer) was born in Dublin about the time Dodge resigned his commission. 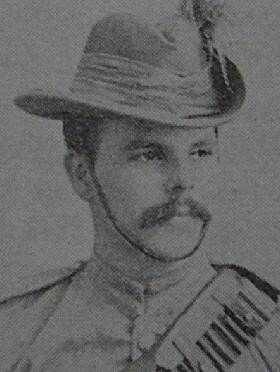 Despite the short time in the army, he continued to proclaim himself a retired officer in the 1881 and 1891 censuses. By 1901 he was living on his own means in South Bersted, a hamlet not far from Bognor. Elizabeth gave her occupation in 1891 as a Professor of Music, presumably a music teacher. By 1901 she was living on her own means in a house in Willesden with several other single, independent women. Egerton was a civil servant, becoming an abstrator in the Science Division of the Science and Art Department. He was living in Brentford and maybe he actually worked at nearby Kew. Amelia married James Marley, a Scot twenty years her senior. In 1901 they were living, with their children, in Horsham, Surrey. The family certainly kept in touch with their COOPER COOPER relations but did they have any contact with their TEARLE cousins or did Moses and his whole family put his past behind him? That is something that may never be discovered and, similarly, the real story behind Moses and Amelia’s mésalliance and Aubrey’s parentage may also never be discovered. However, much more about their lives and those of their children and grandchildren can be pieced together. The SCOTTISH PRINCE, launched in Aberdeen in 1878, was a 64 metre steel masted iron barque of 950 tons. 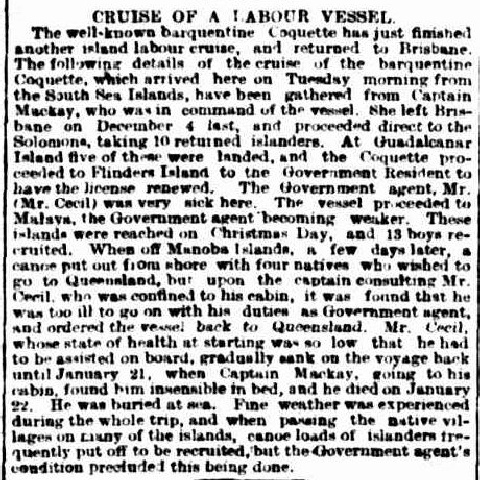 She came to grief early on the morning of the 3rd Feb 1887 with a cargo of iron, beer, whiskey and other goods whilst bound for Brisbane. She now lies in 10 meters of water almost 2 kilometres south of the Gold Coast Seaway, and approximately 800 metres from the beach. Today it serves as a popular dive site. 7th Bedfordshire Regiment of “South View”, Princess Street, Toddington, Bedfordshire. 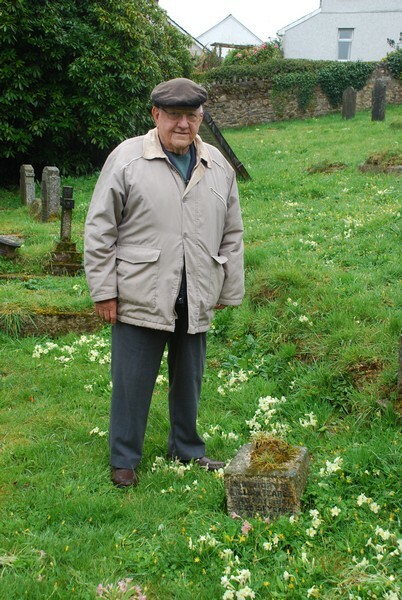 This is John Tearle 1896 of Toddington, son of Joseph Marlow Tearle 1865 and Emily nee Evans. 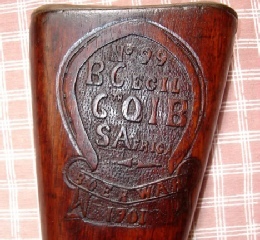 Military serial number 16521, 7th Beds Regt. I am not sure why National Roll has him in the 6th Regiment, because his medals card (below) clearly says 7/Beds.R. His father, Joseph appears to be working a dairy herd on his own farm. His mother, Emily, and May, his elder sister are machinists for a hat manufacturer. It is not clear if the factory is in Toddington, or whether the women are working at home on machines they have been supplied with. The evidence above suggests that Emily has her own machine, and May walks to work. This is in the fading times of the straw hat business in Bedfordshire, but a large number of women, girls and boys were employed in the straw-plaiting and hat-making industries. William is in a cement works and John would appear to be the runner who delivers telegrams for the Post Office. 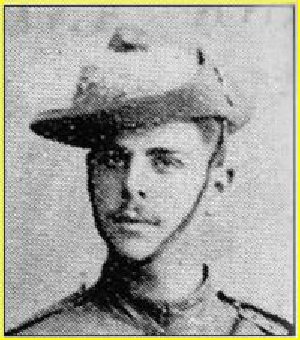 You can see how early he started in the war, but National Roll tells us that he joined the 7th Battalion, The Bedfordshire Regiment, in September 1914. Was he one of those brave young men who really did think the war would be over by Christmas, and it was an adventure not to be missed? 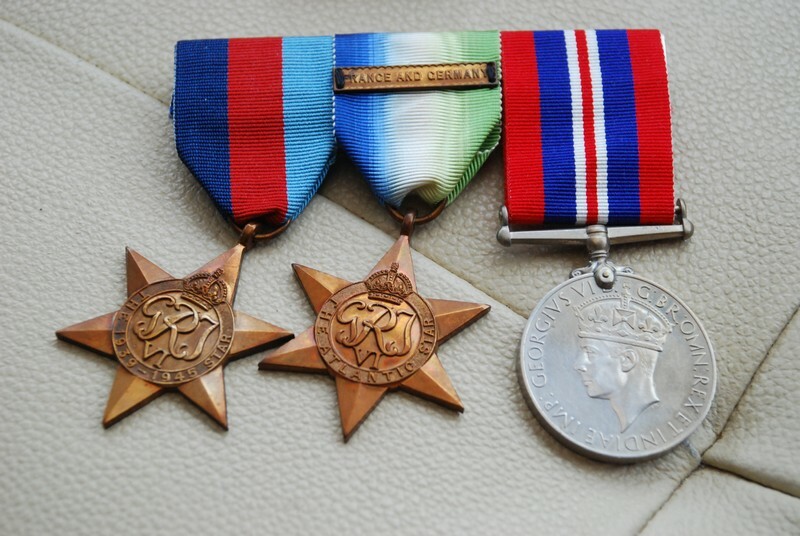 His effective date for war pension and service medals was 26 July 1915, the day his ship dropped him and others of his unit in France. If you look carefully at the statements by National Roll, John was thrown into the very thick of the greatest battles of The Great War. He was at Arras, he was in the Somme, he was at Wipers. How on Earth did he survive? Someone took pity on his injuries and he was sent to England (and anywhere else in the then UK) to perform light duties for the army. It is impossible to imagine what was in his head every time he heard a loud noise, whenever he went to bed, what nightmares he endured even when he was awake. When you are 18-23, things that happen to you then, stay with you vividly and uneraseably for the rest of your life. It must have been a doctor or a senior officer who had some streak of humanity to see that John was no longer fit to be a soldier, who devised a way to get him to safety. 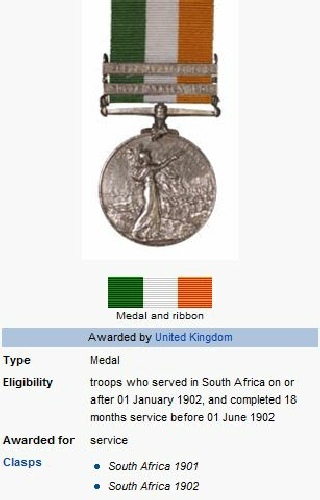 Surely he had served his country with distinction, and he was good enough to have been promoted to lance corporal. As far as I know, he never married. Little wonder, I think, if you look at his length of service, the battles he was engaged in and the number of times he was injured and returned to service. He fought through the entire First World War, and then at the end of hostilities he still had to wait another six months before he could go home. His grandmother was Sarah Tearle, an unmarried mother of three when she married John Marlow of Toddington in 1868. Judging by the names she had given the first three children, all born in Sundon, Bedfordshire, they look like John Marlow’s children, and Joseph himself was the second one. Sarah married John Marlow in Toddington, in August 1868. Because of his name we follow John’s ancestry to Sarah’s parents who were Joseph 1797 and Sarah nee Millings, Joseph’s parents were William 1769 and Sarah nee Clark, and William’s parents were Joseph 1737 and Phoebe nee Capp.